HONG KONG, Aug 24 (IFR) - Trade and Development Bank of Mongolia is said to have mandated three banks for a three-year $300 million stand-alone bond. According to sources familiar with the matter, the banks are Deutsche Bank, Bank of America Merrill Lynch and ING. Roadshows are expected to begin in early September. In May TDBM issued a $500 million government-guaranteed five-year bond at 9.375 percent, but the proposed new bond will not have a guarantee from the state. The prospectus for that bond discussed an upcoming US$300 million maturity on September 20, but said the issuer had ample foreign reserves and an undrawn US dollar lending facility it could use to repay it. The $500 million deal was criticised for paying a huge premium after it rallied to 103 in secondary trading and went even higher days later. The bonds are now trading close to par. ING, Bank of America Merrill Lynch and Deutsche Bank declined to comment. TDBM did not respond to requests for comment. * If Notes are not converted by this time, all funds will be repaid with accrued interest. Conversion of Notes is under the Company's 15% annual placement capacity. The funds will be used for the acquisition of the Nuurst Thermal Coal Project and for working capital purposes. Toronto, Ontario, August 25 (FSCwire) - Mongolia Growth Group Ltd. (YAK ‐ TSXV and MNGGF - USA) ("MGG") or ("the Company") a commercial real estate investment and development company participating in the dynamic growth of the Mongolian economy announces its financial results for the second quarter of 2015 and is pleased to report continued progress on improving operations and reducing costs as it targets positive Adjusted Funds From Operations (AFFO)*. · Continued improvement in financial and operational performance reduced negative AFFO by 60.7% to CDN $206,685 compared to the second quarter of 2014 when negative AFFO was CDN $525,961. "We have spent the first half of 2015 focused on restoring our operations and reducing costs," said Harris Kupperman, Chairman and CEO of MGG. "While the results of these initiatives have led to both reduced costs and a dramatic reduction in negative AFFO I believe that there is still room for improvement in future quarters as we experience fewer one-time expenses associated with our cost cutting initiatives along with the phasing out of various legacy contracts that will not be renewed. Now that we have gotten our house in order, our focus is on growing our revenues and ultimately becoming AFFO positive. I believe that there are many untapped opportunities to grow our business and we intend to embark on them in the second half of the year. In summary, we continue to successfully execute on our plan to restructure the company and become AFFO positive. A lot has been accomplished in a short time and we now have strong positive momentum on many fronts." The Company ended the quarter with $859,919 of cash and cash equivalents and no debt. As of June 30th, the Company was marketing seven properties with a carrying value in excess of CDN $1 million. The Company has subsequently sold three of these properties for proceeds of approximately $305,000. August 21 (Proactive Investors) Aspire Mining (ASX:AKM) and Noble Group (SGX:N21) have intersected many coal seams in the first ten holes of the 2015 drilling program at their Nuurstei Coking Coal Project in Mongolia. Near surface coal was intersected in multiple banded coal seam packages with the best being 15.3 metres of coal from 51.4 metres and 9.5 metres of coal from 71.6 metres in hole NURH1023. Approximately 40 non-core and PQ diamond drill holes are planned to be completed during the drilling program which is expected to be completed during the September 2015 Quarter. This is targeted at increasing confidence levels in coal seam correlation and establishing a maiden JORC 2012 resource. Samples collected from core holes will be sent to laboratories to undertake coking coal quality analyses. In July, Aspire and Noble mobilised two drill rigs to site and have since then drilled nine non-core drill holes and one diamond core hole. Intersected coal seams are consistently steeply dipping and banded. The thick coal packages in NURH1023 are suspected to be structurally thickened by reverse faults that have repeated the coal seams in the drill hole. The exact fault geometry is unknown at this stage. All proposed diamond drill holes will be drilled to collect coal samples to be sent to laboratories for coal quality analysis. This will provide a representation of coal quality across the deposit. The results of the core NUDH012 sampled in 2014 suggested the presence of coking coal at Nuurstei. Nuurstei has an Exploration Target of between 15 million and 25 million tonnes. The Ekhgoviin Chuluu Joint Venture (ECJV) between Aspire and Noble plan to complete a Scoping Study pending favourable results of the current exploration program. It considers Nuurstei to have near term development potential given its location just 10 kilometres from the Khuvsgul provincial capital of Moron and within trucking distance to the existing rail head at Erdenet. The project will also have access to the Erdenet to Ovoot railway within approximately two years of commencement of its construction and thereby become one of the first users of this railway. Results from the first 10 holes at Nuurstei are certainly exciting for Aspire Mining given that multiple coal seams were intersected. There is substantial news flow ahead for the project with further drilling underway and core samples from diamond holes to be sent to the laboratory to confirm if coal coking is present across the deposit. In addition, the ECJV plans to carry out resource calculations following completion of the 40 hole program before potentially carrying out a Scoping Study. The study will assess the economics of a mining operation, initially by road and potentially access to the first section of the Erdenet-Ovoot railway. Aspire continues to retain an option to buy out Noble's 50% stake in the ECJV through to March next year. The company had $4 million in cash and term deposits as at 30th June 2015. August 20 (Mining Weekly) TORONTO (miningweekly.com) – Canadian project originator Prophecy Development expects to close a binding turnkey engineering, procurement and construction (EPC) contract for its Mongolia-based Chandgana coal/energy project this quarter. The TSX-listed company advised on Wednesday that the preferred bidder would be ready to start construction in 2016. The mining project included building a 600 MW coal-fired mine-mouth power plant, consisting of four 150 MW turbines, over two phases. The favoured strategic partner could start construction as soon as Prophecy Power Generation (PPG) had obtained a satisfactory concession agreement, as well as a power purchase agreement (PPA). PPG was in close communication and "looked forward" to collaborating with the potential partner to conclude the CA and PPA, with the PPG working group. Subject to negotiations, a concession project might be entitled to stable tax rates, favourable value-added tax and customs duties, as well as other forms of government subsidies, endorsement and support - all of which could enhance bankability and lead to better financing options for the project. The advanced greenfield project, designed to supply much-needed electricity to a growing domestic Mongolian market, already held a power plant land-use right, construction licence and coal mining licence. Vancouver-based Prophecy advised that the contract would include specific performance requirements and completion guarantees. The company was in separate discussions with its preferred EPC contractor regarding an equity investment accord, whereby the preferred EPC bidder would buy a 5% stake in PPG from Prophecy. The preferred bidder had proposed bank financing of up to 85% of the unknown commercial contract value. The candidate contractor had extensive international project financing experience in power plant projects in developing countries in the Middle East and Africa. The two parties expected to jointly lead and arrange project financing for the Chandgana power plant. Prophecy, which had mining and energy projects in Mongolia, Bolivia and Canada, had in November 2012 signed a strategic memorandum of understanding (MoU) with the overseas investment subsidiary of the world's largest coal-fired power generation group to jointly develop the Chandgana plant. The MoU set out the proposed terms of cooperation and the timeline for implementation of an investment transaction between the strategic partner and Prophecy. Since then, the strategic partner had established an office in Mongolia and remained commercially active in the country. In June, the partner had signed an exclusivity agreement with PPG, agreeing to focus solely on the Chandgana project for the remainder of 2015. PPG also agreed not to sell a majority stake till year-end. The partner's president in June wrote to the Mongolian Prime Minister, urging his support for the Chandgana power plant project. The partner had also reaffirmed its interest in the project by staging an August site visit. Prophecy's Chandgana power plant would eliminate the need for more power plants in Ulaanbaatar and reduce dependency on Ulaanbaatar's existing power plants No 3 and No 4, which emitted significant gaseous and particulate pollutants as a result of their age. Prophecy was unable to secure the 300 000 t threshold of coal sales contracts with its domestic and international customers, through Russia, required to restart its Ulaan Ovoo mine. The mine would remain on standby and Prophecy would reassess its production decision in the summer of 2016. The current Ulaan Ovoo stockpile comprised about 19 000 t of 5 000 kcal/kg gross-calorific-value (GCV) quality and 60 000 t of 3 600 kcal/kg GCV-quality coal. Prophecy expected to start coal shipments from its stockpile to customers starting in September and deplete its remaining stockpile by spring 2016. Prophecy had written letters to the Ministries of Road and Transportation, Industry and Energy, and Selenge province's governor's office suggesting they support paving the 136 km road between the Ulaan Ovoo mine and Sukhbaatar railway station, as well as build a 56 km 35 kV power line from nearby Tsagaannuur soum to bring power to the mine. Both infrastructure initiatives, if implemented, would significantly reduce the operating cost of Ulaan Ovoo and increase the likelihood of sustainable mining operations to serve both the domestic Mongolian market and the international market through Russia. Prophecy on Thursday reported positive progress at its latest acquisition, the Pulacayo silver project, in Bolivia, where the company had completed the first phase of its systematic, district exploration programme. However, as a result of a laboratory backlog, Prophecy could only send 30 of the most prospective samples to the ALS Geochemistry Laboratory, in Oruro, for assay. Included with the 30 samples were quality assurance and control samples that would also be assessed to ensure the validity of the assay results. The company had undertaken detailed geological mapping and close-spaced sampling from surface trenches and underground tunnels at four priority target areas, namely El Abra, Pero, Paca North and Pacamayo. The detailed geological mapping had provided better information on the possible extent of mineralisation. Prophecy collected 495 samples. Previous reconnaissance sampling of tailings piles material at Pulacayo had indicated silver grades of up to 1 200 g/t, gold grades of up to 7 g/t and indium grades of up to 154.5 g/t. TORONTO, ONTARIO--(Marketwired - Aug. 21, 2015) - Khan Resources Inc. (CSE:KRI) ("Khan" or "the Company") announced today that it has filed its financial statements and management's discussion and analysis for the nine months ended June 30, 2015 on SEDAR and has posted these documents to its website www.khanresources.com. International arbitration award - On March 2, 2015 the international arbitration tribunal rendered an award to Khan as compensation for the Government of Mongolia's illegal actions in relation to the cancellation of Khan's uranium licenses in 2009. As of the date of the approval of this MD&A, August 20, 2015, the award aggregates to approximately $105 million (US) with interest currently accruing at a rate of 2.78% or $7,256 per day. In Canadian dollars at August 20, the value of the total award was $137 million. On June 12, 2015 the Company filed a petition for confirmation of its international arbitration award in the US District Court in the District of Columbia. When confirmed, the award will be executable in the US as a court judgement and the Company can begin a process of seizure of non-immune Mongolian sovereign assets. The Government of Mongolia has until Sept 4, 2015 to respond to the petition. On July 9, 2015, the Government of Mongolia filed a notice in the French Court of Appeal in Paris for annulment of the international arbitration Award. The Government of Mongolia has given no indication on what basis it seeks to annul the Award and has until Dec. 8, 2015 to file their first submission. Khan believes that this attempt to annul the Award will not succeed and is merely an attempt to delay for reasons of its domestic political agenda, the inevitable payment of the Award that is now due and payable. Cash - The Company closed a non-brokered private placement announced on May 15, 2015. The Company issued 5 million common shares at a price of $0.40 per share and received aggregate gross proceeds of $2 million. The proceeds of the private placement will be used to advance proceedings to enforce the collection of the arbitration award. During the nine months ended June 30, 2015 the Company has also received proceeds of $480,000 from the exercise of share options by its Directors, Officers and employees. Investments - The fair value of Plateau Uranium Inc. ("Plateau") shares held at June 30, 2015 was $416,840. During the nine months ended June 30, 2015 the Company sold 750,000 Plateau shares for proceeds of $208,500. The Company's remaining holdings represent 2.3% of the 40 million Plateau outstanding common shares. Plateau was previously called Macusani Yellowcake Inc. ("Macusani"). The name change along with an 8 for 1 share consolidation occurred on April 30, 2015. The following table summarizes financial results of the Company for the nine months ended June 30, 2015 and 2014. On May 28, 2014, the Company wrote to the Petroleum Authority of Mongolia requesting the moratorium be extended an additional year. As at June 30, 2015, the Company has not received any response to its request. The Board is pleased to announce that all the proposed resolutions set out in the Notice of the AGM were duly passed by the Shareholders by way of poll at the AGM held on 21 August 2015. During the Current Period, coal price continued to trend down due to ongoing sluggish demand and depression of the coal market caused by the modest economic growth and the stricter environmental protection governance. Thus management decided to take a more cautious and conservative approach towards trading of coking coal. The Group did obtain coal purchase orders from customers in 2015, but has not yet completed the trades during the Current Period. As a result, no revenue contribution generated from the Group's coking coal trading business segment during the Current Period. Nevertheless the management expects the aforementioned coking coal trading will be consummated in the second half of this financial year. In May 2015, the Group completed the acquisition of 95% shareholding interest in a company incorporated in Mongolia with self-owned trucks and vehicles located in Mongolia, which could help the Group in establishing a full supply chain of coal from Mongolia to the PRC. Details of the acquisition are disclosed in the paragraph headed "MATERIAL ACQUISITION AND DISPOSAL" below. During the Current Period, the Group also disposed of its 100% equity interest in Konwide Development Limited and Noble City (Asia) Limited (together with its subsidiary) for a nominal consideration of HK$1 to independent third parties. Completion of the disposals took place during the Current Period and accrued an aggregate gain before tax of approximately HK$8,317,000. Each of Konwide Development Limited and Noble City (Asia) Limited (together with its subsidiary) ceased to be a subsidiary of the Company. On 19 May 2015, the Group entered into a sale and purchase agreement with independent third parties to acquire the entire issued equity of Glorious Future Logistics Limited ("Glorious Future"), a company incorporated in the British Virgin Islands with limited liability, at a consideration of HK$44,000,000. Glorious Future holds 95% shareholdings interest in Ifrontier LLC, a limited liability company incorporated in Mongolia, with self-owned trucks and vehicles located in Mongolia. The acquisition was completed in the Current Period. Save as disclosed above, the Group did not effect any other material acquisition and disposal for the six months ended 30 June 2015. August 24 (The Carlyle Group) Centerra Gold (TSE:CG) was downgraded by investment analysts at RBC Capital from a "sector perform" rating to an "underperform" rating in a report released on Monday, StockTargetPrices.com reports. They presently have a C$6.50 price objective on the stock, down from their previous price objective of C$7.50. RBC Capital's price target suggests a potential downside of 13.91% from the company's current price. Other analysts have also issued reports about the company. Scotiabank lowered Centerra Gold from an "outperform" rating to a "sector perform" rating and set a C$8.50 price objective for the company. in a report on Thursday, June 4th. TheStreet downgraded Centerra Gold to a "sell" rating in a research note on Wednesday, August 19th. BMO Capital Markets upped their price objective on Centerra Gold from C$6.00 to C$6.25 and gave the company a "market perform" rating in a research note on Wednesday, July 29th. Finally, TD Securities upgraded Centerra Gold from a "reduce" rating to a "hold" rating and increased their target price for the stock from C$5.00 to C$6.00 in a research report on Saturday, August 1st. Two investment analysts have rated the stock with a sell rating, four have issued a hold rating and one has assigned a buy rating to the stock. Centerra Gold currently has an average rating of "Hold" and an average price target of C$7.01. Centerra Gold (TSE:CG) traded down 3.31% during trading on Monday, reaching $7.30. The company's stock had a trading volume of 710,190 shares. Centerra Gold has a 1-year low of $3.96 and a 1-year high of $7.98. The company's 50 day moving average price is $6.71 and its 200-day moving average price is $6.68. The stock has a market cap of $1.73 billion and a P/E ratio of 29.20. Centerra Gold (TSE:CG) last announced its quarterly earnings data on Tuesday, July 28th. The company reported $0.09 earnings per share (EPS) for the quarter, beating the analysts' consensus estimate of ($0.03) by $0.12. Equities analysts forecast that Centerra Gold will post $0.25 earnings per share for the current fiscal year. The business also recently disclosed a Quarterly dividend, which will be paid on Thursday, August 27th. Stockholders of record on Thursday, August 27th will be paid a dividend of $0.04 per share. The ex-dividend date is Tuesday, August 11th. This represents a dividend yield of 2.49%. August 25 (Business in Vancouver) PricewaterhouseCoopers' (PwC) recently released annual report on the state of the B.C. mining industry painted a picture of a sector going through a serious rough patch. Gross revenues dropped from $8.5 billion in 2013 to $8.2 billion last year. Net income came in at $288 million, down from $1.4 billion in 2013, caused by a drop in prices for key metals – particularly coal – produced in B.C. Spending also dropped as capital expenditures fell from $1.8 billion in 2013 to $1.5 billion last year. Yet the PwC report, titled Proving resilient, put a positive spin on the industry's challenges, showcasing a sector doing what it could to weather the storm. In the case of Vancouver-headquartered Turquoise Hill Resources (Nasdaq:TRQ), which operates the Oyu Tolgoi mine in Mongolia and tops Business in Vancouver's list of B.C. 's fastest-growing companies, a key to staying financially healthy is to have a long international reach. When the Oyu Tolgoi mine reaches full production, it is expected to be the third-largest copper-gold mine in the world. Chief executive officer Jeff Tygesen noted his company's revenue was US$1.7 billion last year and that being successful in a volatile market means going where the money is. "The mine's location is strategically important because China is the world's largest consumer of copper," Tygesen said. "Production from the open pit started in 2013. We expect to begin construction of the underground mine, which is where approximately 80% of Oyu Tolgoi's value resides, in 2016." In 2014, Oyu Tolgoi mined approximately 77 million tonnes of material and treated approximately 28 million tonnes of ore in the concentrator. The mine also produced 148,400 tonnes of copper and 589,000 ounces of gold in concentrates last year alone. Tygesen said when first production from the underground portion of the mine starts in 2021, Oyu Tolgoi will assume colossal stature within Mongolia's economy. "Oyu Tolgoi is expected to represent about 30% of Mongolia's GDP when the mine is fully developed," he said. "Over 95% of the mine's employees are Mongolian." Originally founded in 1994 as Indochina Goldfields, in June 1999 the company changed its name to Ivanhoe Mines. After Rio Tinto (Nasdaq:RIO) became a majority owner of Ivanhoe Mines in 2012, the company changed its name to Turquoise Hill Resources in August 2012. It owns 66% of the shares in the Oyu Tolgoi project; the remaining shares are owned by Erdenes Oyu Tolgoi LLC, representing the government of Mongolia. Tygesen said that through all the name and leadership changes, one thing has remained constant – a commitment to safety in an industry that regularly ranks as one of the deadliest in the world. "In terms of employee culture, safety is the foundation of all the work we do. We want the mine's workforce to return from work safely each and every day. Sustainability is also a key part of our culture – be it the environment or business practices. We strive to be a good neighbour and member of the communities where we operate." Tygesen said Turquoise Hill Resources also pays careful attention to management of one of nature's most critical resources, and one also generating a lot of headlines as of late. "With Oyu Tolgoi's location in the Gobi Desert, water is a critical factor," he said. "The mine has an extensive recycling program and in 2014 recycled approximately 85% of the water used in operations. Oyu Tolgoi's main water source is from a deep aquifer that does not meet drinking-quality water standards. The mine also has an official well restoration and monitoring program that is conducted in partnership with local herders." Oyu Tolgoi was named the country's "best responsible mine" by the Mongolian Mining Journallast year. The award recognized Oyu Tolgoi's transition from construction to full-capacity operations by "placing safety above all else," Tygesen said. August 21 (China Daily) Rio Tinto Plc, the world's second-largest producer of iron ore, said on Wednesday it has formed exploration joint venture with Chinalco to make efforts, tapping into the nation's copper market, which relies heavily on imports. "By forming the venture, we can jointly explore copper deposits in China, because mining and exploration are where our strength is," said Ren Binyan, managing director of Rio Tinto China, without disclosing any more details. Established in 2011, the joint venture called Chinalco Rio Tinto Exploration JV (CRTX) is now working closely with its Chinese stakeholders on copper exploration in Heilongjiang, Xinjiang Uygur Autonomous Region and other areas in China. The Anglo-Australian mining and resource group has also reached an agreement with the Mongolian government for mining the copper-gold deposits in Oyutolgoi, 80 kilometers north of the Mongolia-China border. The Oyutolgoi mine can produce approximately 15.9 million metric tons of copper and 11 million ounces of gold, earlier reports said. The move is a reflection of the company's ongoing efforts to rely less on its coal business for growth, as coal prices are an even bigger concern than that of iron ore, and instead focus on other sectors like copper and aluminum. "It is a smart move because China has been relying on copper imports due to lack of high-quality copper-gold mines," said Li Xiaobei, a senior copper analyst at Sublime China Information Group Co, the Chinese commodities consultancy. "Copper mining is a long-term investment, which takes generally five to six years from exploitation to production, and in the years ahead, improving production will help feed the nation's copper demand." China's copper-gold mining resources are scarce, with only some low-quality copper-gold deposits in Anhui, Yunnan and Jiangxi provinces. About 80 percent of the copper demand are met with imports from countries like Chile and Peru, she said. "There is a huge potential for China's copper market, once the copper-gold mines in Mongolia are explored and put into production, it will largely feed the demand in the country," she said. 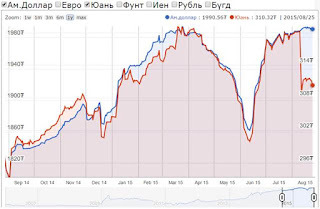 August 24 (MSE) Mongolian Stock Exchange organized 5 securities trading sessions and made transaction of MNT10,531,837,099.00 between 17 August 2015 and 21 August 2015. 107,090.00 shares of 36 joint stock companies worth of MNT31,837,099.00 were traded. 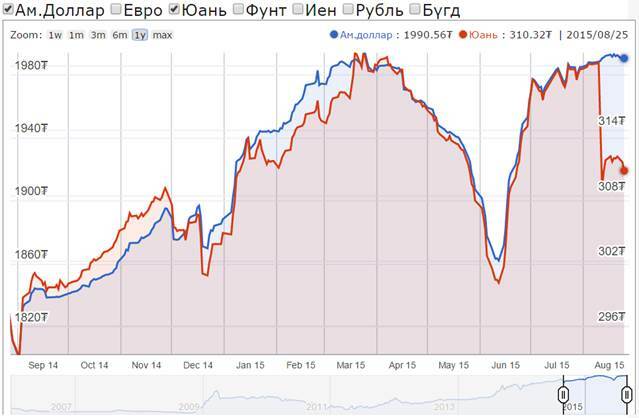 50,000 Erchim bonds worth of MNT500,000,000.00 were traded through one bonds trading session. As of July 2015, market capitalization was MNT1,303,267,915,197.00 which indicated increase of 0.35%, and MSE ALL index reached 964.81 units which indicated increase of 0.52% from the previous week. Ulaanbaatar, August 24 (MONTSAME) At the Stock Exchange trades on Monday, a total of 10,518 units of 8 JSCs were traded costing MNT eight million 522 thousand and 352.00. "Khokh Gan" /9,141 units/, "Mogoin Gol" /920 units/, "Genco Tour Bureau" /200 units/, "Aduun Chuluun" /163 units/ and "Binse" /50 units/ were the most actively traded in terms of trading volume, in terms of trading value were "Mogoin Gol" (MNT seven million and 84 thousand), "Khokh Gan" (MNT 795 thousand and 267), "Talkh Chikher" (MNT 313 thousand and 500), "Aduun Chuluun" (MNT 256 thousand and 530), and "Binse" (MNT 41 thousand and 950). The total market capitalization was set at MNT one trillion 294 billion 404 million 263 thousand and 203. The Index of Top-20 JSCs was 13,276.14, increasing 0.00% and the all index of MSE was 965.30, increasing 0.05% against the previous day. Ulaanbaatar, August 25 (MONTSAME) At the Stock Exchange trades on Tuesday, a total of 135,034 units of 9 JSCs were traded costing MNT eight billion 735 million 57 thousand and 663.00. "Olloo" /33,720 units/, "State Department Store" /599 units/, "Mogoin Gol" /204 units/, "Talkh Chikher" /197 units/ and "Makh Impex" /165 units/ were the most actively traded in terms of trading volume, in terms of trading value were "Olloo" (MNT three million 338 thousand and 280), "Talkh Chikher" (MNT three million and 327 thousand), "Mogoin Gol" (MNT one million 570 thousand and 800), "Gobi" (MNT 714 thousand and 840), and "Makh Impex" (MNT 511 thousand and 500). The total market capitalization was set at MNT one trillion 293 billion 980 million 654 thousand and 992. The Index of Top-20 JSCs was 13,265.56, decreasing 0.08% and the all index of MSE was 964.84, decreasing 0.05% against the previous day. August 25 (MSE) On 25 August 2015, the bond orders of 52 weeks Government bonds with 14.650% annual interest, placed on order book, and Ministry of Finance supplied 100,000 or MNT10.0 billion out of total order 200,017 pieces or MNT20.0 billion. August 25 (MSE) Primary market trading of "Erchim bond", first ever insured bond in Mongolian capital market, with face value of MNT10,000 and 6 months maturity at 18.5% annual interest, 50000 shares was successfully traded at the primary market of MSE. Pursuant to the resolution No. :3/3798 of Financial Regulatory Commission of August 24, 2015, the primary market trading of "Erchim bond" shall be deemed successful and thus, the secondary market of "Erchim bond" trading will be starting from August 25, 2015. In addition, holders of "Erchim bond" are able to sell or buy their shares on the secondary market at any time. August 25 (MSE) Listed at Mongolian Stock Exchange, "Hermes center" Joint stock Company decided to distribute total of MNT389, 279,660.73 dividends of 4.96 tugriks per share to shareholders through half year of 2015 net profit. They decided to make expire August 28, 2015 as a registration day that make lists of existing shareholders who are eligible for dividend. In addition, "Hermes center" JSC is issued nominal value of MNT100 shares and raised MNT5,048,820,200.00 on May 16, 2008. "Hermes center" JSC is distributed dividends total of MNT937,018,002.00 on 2014 and MNT319,670,014.00 to shareholders on March 10, 2015. August 21 (MSE) According to the Resolution No. :288 of Financial Regulatory Commission of 2015, the request No. :2015/34 of "UB-BUK" JSC of 2015, the Order No. : 243 of CEO of MSE, an additional issued 187,200 shares of "UB-BUK" JSC with face value of MNT100.00 registered at MSE. The listing amendments were made to the "UB-BUK" JSC, resulting in total of 1,315,475 shares. During the training, experts from MSE presented about to make extra profits in short term by investing on the Government securities with reserved capital of Insurance fund, guidance of participating stock trading and its information, risk and yields. From MIA side, experts provided detailed insured corporate bonds to specialists of securities companies and exchanged thoughts and suggestions. August 24 (MSE) The parliament of Mongolia assigned the task to Mongolian government accordance with the its Resolution No. :70, to privatize state-owned properties in 2015-2016. Scope of this work, Mongolian government issued the Resolution No. :330 on 7 August 2015 and approved the list of state –owned properties to privatize in 2015-2016. Here is the chart that shows state-owned companies that will be privatized at Mongolian Stock Exchange in 2015-2016. August 25 (BoM) On the Foreign Exchange Auction held on August 25th, 2015 the BOM has received bid offers of USD 12.6 million in a rate between MNT 1984.55-1989.10 and CNY 38.7 million in a rate between MNT 306.70-309.10 from local commercial banks. The BOM sold USD 8.6 million in a closing rate of MNT 1987.00 and CNY 24.2 million in a closing rate of MNT 308.00 respectively. On August 25th, 2015, The BOM has received MNT Swap agreement bid offer equivalent to USD 59.1 million and USD Swap agreement selling bid offer equivalent to USD 5.0 million from local commercial banks and the BOM has accepted the offers. August 24 (news.mn) The Mongolian Mortgage Corporation (MMC) is going to issue MNT 261 billion guaranteed equity bonds for the sixth time. The average loans per person will be MNT 42 million; the term of the loans will be 20 years. In total, 90% of the bonds will be preferential bonds; the remaining 10% - simple bonds. MMC officials obtained permission to issue the bonds from the "Financial Coordinating Committee" on 3rd August. Ulaanbaatar, August 25 (MONTSAME) Mongolia's revenue from coal exports amounted to USD 353.9 million, decreasing by 30 percent compared to the same period of 2014, mainly due to the Chinese market decline. Export volume of coal was at 8.2 million tons, shrinking by some 22 percent. According to the latest statistics, the coal exports passing through Shiveekhuren border checkpoint has exceeded the amount of coal export passing through Ganshuunsukhait checkpoint. For instance, 4.3 million tons of coal was exported to China through Shiveekhuren, while exported through Gashuunsukhait totaled to 3.9 million tons, showing decrease of 42 percent over the same period of the previous year. The main factor for the decline in coal exports was the reduced sales of Energy Resource LLC, one of the major coal exporters of Mongolia. Another factor was that it became compulsory to carry coal by heavy transport road, thus raising the transportation expenditures. On the other hand, the Chinese side is interested in buying unprocessed minerals and turning them into value-added products. Thus, Mongolian exports of coking coal have increased again. According to China's customs authority, Mongolia supplied 29 percent of all coking coal imports of China in the first half of 2015, while the percentage was 24 percent in the first half of 2014. As of June, the coal price per ton was 45.2 USD at the borders of China. August 25 (gogo.mn) Total of 265 thousand tonnes of crops are expected to be harvested this year of which 252.3 thousand tones are wheat, 117.3 thousand tones are potato and 75.3 thousand tonnes of vegetables. The weather conditions were not favourable for the farmers this summer as the farmers had to face the comparatively cooler May and droughts during the June and July. Especially the droughts happened during the most crucial period for plants from June 10th to July 8th at most of the farming regions in Mongolia, with air temperatures reaching 34-38C, while on ground the temperatures reached 60-64C. As a result, farmers have lost crops on 49.9 thousand hectares of land and with 32.5 thousand hectares of crops shifting to fodder, resulting in shortage of harvests of 53.7 percent and only being able to supply 58.2 percent of the flour consumption. Implementation of the leasing of the 132 tractors, 51 combines with 20 percent deposit and 5 year payment conditions with the proceeds from the Chinese Government soft loans. 21 entities have received the loan support totalling to MNT 7.5 billion to purchase high capacity tractors, combines through the bids. Steel concrete elevator is installed in Darkhan-Uul aimag with capacity of 36 thousand tones. In regards with flour balance, total of 252.3 thousand tonnes of wheat is expected to be harvested, which is 241.4 thousand tonnes of wheat planned to be put into production. 186.2 thousand tonnes of wheat is planned to be supplied for the production of flour, with total reserves of wheat coming to 213.6 thousand tones. Total annual need for the wheat for the production of the flour is at 320 thousand tones and according to the statistics of 2015-2016 there might be shortage of 106.4 thousand tonnes of wheat for this year. Moreover the government is paying extra attention on ensuring the timely harvesting of the crops and are in talks with other entities that supply fuel, equipment and other technological assistance. August 25 (parliament.mn) On August 25, 2015, Chairman of the State Great Hural (Parliament) Mr. Zandaakhuu ENKHBOLD delivered a Letter on "To Work Implementing the Law" addressed the Prime Minister of Mongolia Mr. Chimed SAIKHANBILEG. The official document reads, "At the irregular plenary session of the Parliament held on August 6, 2015, six Ministers of Cabinet were dissolved from their posts under submission of the Prime Minister of Mongolia. According to the Law on Government, Section 21.2, 'If Premier or Minister of Cabinet is resigned/released from his/her office on the grounds stated in the law or died before the date when term of service expires, so his/her full power is ended prior the term. In this circumstances, the State Great Hural shall appoint succeeding Prime Minister or Minister of Cabinet within 30 days and the term of full power of newly appointed authority is equal to the remaining term of current Cabinet'. In accordance with the provision of this Law, the State Great Hural shall to appoint succeeding six Ministers of Cabinet before September 6, 2015. Therefore, I hereby within this Letter, the Prime Minister of Mongolia to implement the provision of the Law on Government and submit candidatures to the Parliament of Mongolia". August 25 (gogo.mn) Yesterday the media representative of the Prime Minister announced that the appointment of the ministers will be discussed during the Plenary Session of the State Great Khural in October. According to the statement made yesterday, it has become obvious that ministries previously led by the ministers from MPP are to operate without ministers, implying that DP will be leading the government on their own at least until October 1st. But shortly after the above announcement DP gathered its Executive Council meeting in order to discuss the ministerial appointments and presidential veto. According to the close sources, Executive Council agreed on the ministerial candidates and is to call for another special session to discuss the above two issues in the nearest future. Recent media coverages mention on differing stances of the ministerial candidacy between the Prime Minister and DP members. Source: The original article is by B.Damdin and was published on Zuunii Medee. August 24 (infomongolia.com) After the dismissal of six members of Mongolian People's Party (MPP) from positions of Ministers, Prime Minister Ch.Saikhanbileg has issued an order on August 07, 2015, to appoint acting Ministers until names for the positions are approved. The discussion is still in progress. At the press conference, Prime Minister's Spokesman Ts.Munkhtur has informed that PM Ch.Saikhanbileg has decided to discuss the names of six open positions of Ministers at Autumn Session of the Great State Khural (Parliament) on October 2015 due to his busy schedule. Next week, Ch.Saikhanbileg will work in countryside to get acquainted with the situation of agricultural sector. Later on September 10, Prime Minister Ch.Saikhanbileg is meeting Premier of the State Council of the People's Republic of China Li Keqiang. Mr. Ts.Munkhtur has stressed that Prime Minister considers that paying attention to current urgent matters of the state is more important than appointment of six new ministers, the names can be discussed on October. Also, PM Ch.Saikhanbileg has ordered Minister of Education, Culture and Science to resolve issue regarding the university cost raise and kindergarten registration. Minister L.Gantumur will give more detailed information regarding the issues at the "Minister's Hour" meeting on August 27, 2015. August 21 (news.mn) Yesterday, the Parliamentary Speaker Z.Enkhbold, Prime Minister Ch.Saikhanbileg and former President N.Enkhbayar had a meeting. This took place in the office of Z.Enkhbold and was to discuss which party would take which ministries. If the Democratic Party (DP) concludes its deal with the Justice Union Group, the Prime Minister will present the appointment of the Ministers to Parliament. The deputy head of the Justice Union Group, Z.Bayanselenge said that their group has already chosen their candidates for some Ministers already; the DP, however, still has not chosen its candidates, for which reason the work of the Government is being postponed. - D.Atarmaa, Deputy Minister of Health and Sports. August 25 (news.mn) The "Amnesty Law" which was approved during the recent non-regular meeting of Parliament has been partially vetoed by the President. The Civil Will Green Party (CWGP) is in agreement with the veto regarding the pardon of corrupt officials. Yesterday the CWGP began polling citizens on Chinggis Square. The poll, which will last for two days, asks if they agree with the following: "Parliament should discuss the "Amnesty Law" immediately, and accept the veto of the President. Otherwise, Parliament should be disbanded". Ulaanbaatar, August 21 (MONTSAME) On August 21, S.Demberel MP presented a draft amendments to the Law on Central Bank to Z.Enkhbold, Chairman of the State Great Khural. He said that the main objective of the Central Bank should be more clarified, specifically, to be changed as "ensuring price stability" rather than "ensuring currency stability", which mainly refers to stabilizing the national currency - Togrog. Concept of price stability covers stability of inflation and ensuring the adequate flow of both national and foreign currencies. The draft determines the general and sub-ordinate objectives of a Central Bank, said S.Demberel MP. Moreover, the initiators added more clarity to the engagements of the Central Bank to the Law's section regarding the activities of the Bank of Mongolia (BoM). If adopted, the amended law is expected to improve the coordination of the activities of the Central Bank and the Government, by ensuring the subordination between BoM's objectives and perspectives. August 21 (parliament.mn) On August 21, 2015, member of the State Great Hural (Parliament) N.Enkhbold presented a draft law on Legal Status of Red Cross Mongolia to Chairman of the Parliament Z.Enkhbold. The draft law handed was initiated with parliamentarians D.Battsogt and G.Bayarsaikhan that aims to improve the legal status of the Red Cross Mongolia, which would be different from a non-governmental organization and to have a status equivalent to a national humanitarian organization. The draft law on Legal Status of Red Cross Mongolia was developed in association with a working group promoted by International Federation of Red Cross and the Red Crescent Societies. The draft comprises of 4 sections and 15 articles proposing major changes to the Law on Legal Status of the Mongolian Red Cross adopted back in 2000. Ulaanbaatar, August 25 (MONTSAME) On August 24, Minister of Justice D.Dorligjav presented to Cabinet the draft resolution on adopting a Program on Protection and Support for Witnesses and Victims. The draft received cabinet's approval. Issue of adopting such a program was reflected in the Law on Protection of Witnesses and Victims, adopted in 2013. The program aims at creating a legal environment, where witnesses and victims enjoy their rights to information and safety, and at activating the involvements of witnesses and victims in fighting crimes, inspecting serious criminal cases, and to condemn suitable sentences to the guilty, through protecting and ensuring the rights of witnesses and victims. The program outlines main objectives, implementation principles, directions, administration and management, time-frame, funding and assessment tools for program implementation. The program is to realized in 2016-2024, with three stages. August 21 (parliament.mn) On August 21, 2015, member of the State Great Hural (Parliament) Ms. Tsedevdamba OYUNGEREL received the Asian Development Bank Country Director for Mongolia, Mr. Robert Schoellhammer. During the meeting, the sides exchanged views on cooperation to improve sanitation facilities by contaminating the soil and bio-waste collection as well as recycling areas in one of the Ger districts offered by the City Mayor's office. Also, parties emphasized that it is a vital issue of consideration to stop soil pollution in Ulaanbaatar Ger areas and agreed to bring the cooperation into newer level by improving sanitation facilities. Moreover, MP Ts.Oyungerel underlined that the exemplary solution on improving sanitation facilities introduced in Ulaanbaatar would be the beginning of a major reform to implement in other provincial urban areas. August 25 (UB Post) Unemployment is the state of not working. Unemployed people cannot earm money to meet their own needs and they expect support from the government. The Human Development Fund has been distributing 21,000MNT and food stamps for quite some time. This welfare policy increases the mentality of "ready money" and reduces the incentive for youth to find employment. The definition of unemployment includes people who are unemployed but actively seeking employment. The definition excludes people who are not willing to work. In other words, people who don't seek employment and stay at home are not considered to be unemployed. Statistics concerning the nation's employment rate only includes job seekers categorized as registered unemployed citizens. The National Statistics Office reported that a total of 45,200 people were registered at an employment agency as unemployed as of the first half of this year. Around 66,900 people were registered at province and capital employment agencies, where 12,600 people found jobs and 60,200 people were excluded from agency services due to not actively seeking jobs. The unemployment rate has increased by 20.6 percent, equal to 11,400 more unemployed people. The number of people who have found jobs through employment agencies has decreased by 19.4 percent, or 3,000 people. However, the number of people who are not actively seeking a job has increased by 25.7 percent, equal to 12,300 people. This is the only official data concerning people who were registered as unemployed. It is difficult to predict how many people are unemployed and not seeking jobs. Many people believe the increase in the unemployment rate is due to the ready money provided by the Human Development Fund. These people enjoy the privileges of being unemployed. Working individuals can obtain a consumer loan at a 20 percent interest, whereas unemployed individuals can obtain a soft loan. Loans with two-year terms and a 10.2 percent interest rate are available for unemployed people to support them in their search for a job. These soft loans are not available to working individuals, as the bank requires them to pay higher interest rates. Banks don't require non-working individuals to pay high interest rates. Following this rule, taxpaying entrepreneurs are not able to get soft loans. Most entrepreneurs fail after paying high interest rates to commercial banks and trying to meet collateral requirements. Unemployed individuals can satisfy loan requirements without providing collateral. The government changed the process for unemployed people requiring collateral, as the government provides loan guarantees. These privileges further decrease incentive for working. Some individuals would really like to work, and some do not. Individuals who are not willing to work should be excluded from official unemployment surveys. If the government continues to offer this kind of support to the nation's unemployed, our economic situation will continue to decline. It has become common to support unemployed individuals during an economic crisis. The government provided soft loans of 60 billion MNT, divided into five and 10 million MNT packages, in order to create jobs. Though some companies used the loans for opening karaoke bars and motels, the government is still talking about the loans being issued to the wrong people. It is the right time to invest in secure and stable economic entities. At least 97 percent of the nation's 39,800 small to medium-sized entities have the capacity to hire up to 50 employees, but it is still hard to establish a business in Mongolia due to the small size of the market. The most effective way to develop youth employment is to invest in secure entities and provide them with soft loans and decrease their taxes. A great amount of money has been spent on establishing medium-sized entities, and they need on-going support like soft loans to operate profitably. Currently, most entities are losing money during the crisis, and workers are the key assets to recovering from the economic crisis we face. Medium-sized entities already have their collateral requirements met, which means the government doesn't have to provide banks with loan guarantees, just lower interest rates. By investing in medium-sized entities with 50 employees or more we can improve youth development and overcome the economic crisis. Furthermore, the banks should decrease interest rates on consumer loans. We can see now how individuals have benefited from low interest rate-housing loans. Seventy-thousand individuals obtained eight percent interest housing loans. As a result, the construction industry market grew by 140 percent within one year. Individuals who obtained this loan were working, income-earning employees, because a social security payment history is one of the main requirements from banks. The status of being employed and having steady income is vital to individual and national success. August 23 (UB Post) B.Batbayar, better known as Baabar, is a well respected columnist and political commentator in Mongolia. He is one of the founding members of the democratic movement, and later, the Democratic Party of Mongolia. Baabar received the state's highest honor for his work in Mongolian history. His book "Twentieth Century Mongolia" has been translated in nine languages. Baabar's analysis of Dr. Choyog Davaadash's research paper on the evolution of Mongolia's democracy was originally published in Dal Newspaper in July 2015, and appears here with permission from the author. Dr. Choyog Davaadash published a research paper titled "Some characteristics and complications of Mongolian social transformation". Today (July 29), we are celebrating the 25th anniversary of the beginning of a social transition, because the first truly free and democratic election was held on this very day. Poland, which was one of the first countries to transition from a centrally planned, authoritarian regime to a market economy with a liberal democratic system, celebrated the same anniversary of their historical event just last year. Mongolia is a pioneer amongst the 40 countries that have made such grand transitions. All of Mongolia voted for their representatives at the nation's supreme governing institution, which can be regarded as an event significant not only politically, but also socially. Even though the Polish Solidarity Trade Union and the Mongolian Democratic Union were both initiators and pioneers in their nation's democratic movements, the celebrations of these anniversaries have more significance for the general public, as they provide people with a chance to evaluate the past. In his paper, Dr. Davaadash analyzes the social, political, and economic changes that have been underway Mongolia, and elaborates on the characteristics and features, and the success and failures of the transition. I believe there is no higher quality academic work than Dr. Davaadash's that approaches the topic with scientific methodology and examines it from every angle. Dr. Davaadash claims that 1990's process was a revolution, as "social transformation is the change of the social structure that is deliberate and without turning back." He explains that for Mongolia the process was under the direct influence of Soviet perestroika, starting in 1985, and the movement against the communist regime expanded in 1989 to Eastern Europe. He highlights that this time was when the objective of setting up socialist and communist systems had elapsed ideologically and economically, as well as its resources. A transition of social structure based on private property to public assets happened from 1921 to 1959, when the cooperative movement was complete. The transition happened for over 40 years. During this time, ideological theocracy was replaced by Marxism. Politically, the monarchy was replaced by a socialist government that was managed by a single party with a bureaucratic apparatus under direct foreign influence. Economically, a private ownership and property base was replaced by a public property system. If building socialism was the single objective for Mongolia, it was achieved by the 1970s. By allocating all resources to build a society where hating private goods and preferring public well-being over personal happiness as a modus operandi and value system, a medieval feudal society made a big jump toward civilization with great advancements in industrialization, agriculture, health, education, culture, and demography. By the 1990s, when Mongolia was lacking in all its resources in building socialism and had become a beneficiary country of its neighbor as a direct result of geopolitical games, the democratic revolution took place. We jumped into a different system. This event was inevitable according to Dr. Davaadash, who came up with sound claims. The society that is non-democratic, coupled with a full ignorance of basic human rights, the absence of economic "internal engines" and dominated by an authoritarian, bureaucratic government, becomes more isolated; drifting from the main trends of world progress. Hence, the author highlights the eminence of a democratic revolution taking place in Mongolia and putting forward the platform of a transition to democracy and a market economy. The weakening of outside forces that kept Mongolia in a vacuum under the old regime was a major factor in the success of the democratic revolution. Dr. Davaadash's work is the first academic piece (that I have known of) that scientifically analyzes Mongolian societal transition, hence, I would like to again express my gratitude to him for his work. August 24 (infomongolia.com) 51 billion cubic meters of Coal-bed methane gas (CBM) reserve, equal to around 40 million tons of natural gas (worth over 500 million US dollar), was discovered at Tavan Tolgoi deposit in Mongolia. As annual gas consumption of Mongolia is estimated to be around 28 tons the newly discovered reserve could promote state economy greatly. Later, Erdenes Tavan Tolgoi JSC, Elgen LLC and Korea Gas Corporation have signed the Memorandum of Cooperation on July, 24, 2015 to conduct joint survey on methane gas reserve located on surface of coal deposit and import required technology into Mongolia. Korea Gas Corporation is a Korean state-owned cooperation established in 1983. According to researchers, Mongolia may have more natural gas deposits other than that in Tavan Tolgoi. Methane reserve of Tavan Tolgoi may not be enough for export to Russia and China but it can alone fully supply local gas consumption including all electric power stations in Ulaanbaatar. In addition, the pipeline installation cost won't be high as most of territory of Mongolia is wide field. Thus Tavan Tolgoi is capable of supplying 1 million tons of gas to Ulaanbaatar annually. August 21 (infomongolia.com) Granting of licenses for mining exploration in 31 million hectares of land or 19.9% of total territory of Mongolia had been approved in 2014 by the Decree No.239 of the Government of Mongolia. In accordance with this, licensing of mining exploration in the territory of 9 million hectares west from 104th meridian has started from January 26, 2015. Therefore, total of 452 licenses were granted to entities so far. From August 24, 2015, the Mineral Resources Authority of Mongolia will grant the licenses for exploration on the area of 11.94 million hectares east from 104th meridian, as well as will granting the licenses for remaining 1.95 million hectares located 104th meridian west. The issuing of licenses for total of 20.94 million hectares of exploration area is basing on applications and for the rest of 10.15 million hectares will be issued under selection. 1,076 entities which have applied for the license are domestic, 50 companies are foreign and 12 are joint entities. The government resumed the exploration licensing in 2014 which had been previously stopped for four years. August 21 (China Daily) Bank of China Ltd will step up efforts to support the Belt and Road Initiative by further expanding its global footprint and extending more credit to relevant projects. The nation's fourth largest lender by assets announced on Thursday that it will launch or upgrade offices in India, Myanmar, Czech Republic, Mongolia and Turkey within this year. It will also open more branches in countries along the Silk Road Economic Belt and the 21st Century Maritime Silk Road, including Singapore, Thailand and Cambodia. The Belt and Road Initiative connects Asia, Europe and Africa and passes through more than 60 countries and regions with a population of about 4.4 billion. As of June 30, the Bank of China had established branches in 16 countries and had been involved in 300 major overseas projects worth $250 billion. In the first half of the year, BOC extended credit of nearly $10 billion to countries along the Belt and Road Initiative. "Our target is to extend credit of no less than $20 billion this year to projects related to the Belt and Road Initiative and a total of $100 billion in the next three years," Huang Danggui, general manager of the bank's corporate banking department, said. BOC has made great efforts to promote a wider use of the yuan in countries along the Silk Road Economic Belt as Chinese companies go global. On June 24, it raised $4 billion from offshore bond markets for the Belt and Road Initiative. August 20 (gogo.mn) The Government approved National Program for Transition of Radio and Television Broadcastings to the Digital Technology by its 275th Government Resolution in 2010. Analog transmitting stations to be stopped starting from July 15 to Oct 05 according to the orders of Information, Technology, Post and Telecommunications Department and Communications Regulatory Commission of Mongolia. As of Aug 05, 172 analog transmitting stations have switched off. Ulaanbaatar, August 20 (MONTSAME) On August 20, L.Bold and G.Batkhuu MPs received Sir Paul Judge, Alderman of the City of London. G.Batkhuu MP invited Sir Paul Judge to have a convenient stay in Mongolia and highlighted his satisfaction with the fruitful cooperation between London's international financial center "The City of London" and the Financial Regulatory Committee of Mongolia. In response, Sir Paul thanked the MPs for their time and noted that the United Kingdom was the first western country to establish diplomatic ties with Mongolia, and that the ties have endured for 50 years now. Mentioning that Mongolia is a role model for strengthening its democracy and cherishing rule of law and human rights, he said that the meeting's main purpose is to offer Mongolia a support for establishing an international financial center in Ulaanbaatar. He underlined that Mongolia has not only a rapidly growing economy but also a suitable location. L.Bold MP presented some information on the previous studies completed on establishing such a financial center in Ulaanbaatar, and noted that it will be of great importance in the economic conditions of our country and the region. August 25 (news.mn) The preparation for the 4th land registration is completed and registration commences today at 12.00 am. Under the program, the 34857 citizens who already own the 8727 hectares of land located in the Bayanzurkh District, Songino-Khairkhain District, and Khan-Uul Districts will be able to register on-line. The registration period lasts 14 days from today. The websites are: www.umch.ub.gov.mn and www.ulaanbaatar.mn. August 24 (gogo.mn) Ulaanbaatar Smart Card company dropped its fees of MNT 50, 100 and 200 for the recharging of U money bus cards. The decision to drop the fees to be charged from the citizens is to be effective as of today August 24th, as announced from the Ulaanbaatar Smart Card company. The recharging service providers are to receive the 1 percent subsidy from the total sales from the Ulaanbaatar Smart Card company. Moreover, the service providers are to be provided with credit lines of MNT 300,000 and up to MNT 1,000,000 depending on the reliability of the services provided. Currently there are 370 stations available for the service mainly the shops and kiosks nearby the bus stops, Wellmart stores and Zar Medee newspaper stands. Pre-paid cards for MNT 5,000 and MNT 10,000 are available for purchase from the bus conductors and Skytel Card sellers. Cards are available at the Customer Center at room 307 of 4th Building of the Capital City Government /former Ulaanbaatar City Bank Building/. Customer Center is available during working hours on Mondays through Saturday 9AM to 6PM. Contact numbers are 70151289, 78111289. August 23 (UB Post) Authorities of the City of Ulaanbaatar and companies executing seven new public projects signed memorandums of understanding on Friday to proceed with concession agreements. Under state policy for public and private partnership (PPP) established in 2009 and the Law on Concession adopted in 2010, analysts say a favorable environment was created for upgrading PPP by building mutually beneficial cooperation in supplying the shortage of and improving access to highly-demanded infrastructure and basic social services, addressing the city's active population growth and urbanization. Since 2014, the Citizens' Representatives Khural (City Council) of Ulaanbaatar has placed 46 projects on a list of city-owned concession items. They include three residency construction projects; nine transportation projects; 20 projects on education, culture and sports; nine healthcare projects; and five projects on infrastructure development. August 21 (gogo.mn) Mongolian Youth Association and State Housing Corporation are planned to accommodate 50 apartments at Buyant -Uhaa 2 for youths at its lowest price. In scope of this cause, representatives of Mongolian Youth Association signed Memorandum of Cooperation with representatives of State Housing Corporation. The apartments will have 2-3 rooms and we are studying for selling the apartments by MNT 1,300,000 per sq.m, stated by Deputy Director of State Housing Corporation D.Altanhuyag. August 25 (Mongolian Economy) We invited the Head of the Ulaanbaatar City Health Department, Sh.Enkhbat, to our magazine's three-question panel. -Illnesses of the lungs and diabetes are overwhelming city residents. The overall health of the city is deteriorating. What do you think the reason is? -It clearly shows that a bad policy can only bring about bad outcomes. There is the phrase "You get what you pay for." Demanding services of Japanese quality while spending money like a country in Africa makes no sense. Today, the United States is spending USD 8,500 per citizen. We are spending a hundred times less than that – around USD 82. Most of this amount is spent on non-medical things such as electricity. Population health indicators will not improve unless the state spends money. We can't just go with the flow of the market. - Half of Mongolia's total population live in the capital. How is access to medical care? - The population of Ulaanbaatar reached 1.5 million this year – one out of every two citizens lives in the nation's capital. However, the city's district hospitals and maternity clinics are still operating according to the previously estimated capacity for a population of 500,000 people. Not a single new district hospital or maternity clinic was built from the state budget in the last 25 years. Nevertheless, the city population has increased three-fold since the previous estimate. Several years ago, no one knew what to do with the budget. Hospitals weren't built not just because of a lack of money. It has to be said that the fault lies in the policies. There is not a single specific district hospital in this big city. All of them operate in buildings that were not specifically built for medical activities. Generally, this sector has been funded from leftovers. Nowadays, it is as though the Ministry of Finance decides health care issues. They have slashed the city's health care organisations' budgets for pharmaceuticals by 30 percent this year. The state population has reached three million, and out of the 81,700 new births, 41,000 were in the capital city. On top of this, many people are coming from rural areas. As a result, most hospitals are sliding into debt. Mongolian mothers want to give birth in a modern, affordable hospital without waiting. The state must be responsible for this and must create the necessary conditions for this to happen. Today, the state is doing reckless work. There is no policy. Three new children's hospitals are to be built from the state budget this year. These hospitals are for those aged 18 and under. Today, we don't have children's hospitals that treat children older than 10. The current children's hospitals are for young children or infants. - What other works are planned from your department? - The fact that no new hospitals have been built in Ulaanbaatar from the state budget is most definitely a policy crisis. Doctors can't build hospitals by themselves. The health sector itself should have a long-term policy, and that policy must strictly be adhered to. It is believed that 10-20 percent of personal health issues depend on health care organisations. The rest depends on the state and operations of organisations. If the state does not handle food and drug safety and the air pollution issue, individuals most certainly will not. Therefore, the attention and support of the state is critical. Everyone must understand that the health sector is a sector that is the most distant from politics. The full independence of hospitals must be ensured. There is no need to trail-blaze a brand new path. We just need to go the path other countries have taken. This year, the Ministry of Health supported our department's motto "Improving access to primary health care organisations' and reached a common understanding, so we're moving in that direction. If we imagine Mongolia as a building being constructed, it is being built from the roof down, when everything should start from the foundation. We're trying to start from the foundation, which is the family medical practice. A Different Ulaanbaatar: What Is There to Offer? August 21 (Mongolian Economy) Despite their lack of interest in coming to the capital city, visitors are forced to come to Ulaanbaatar (UB) in order to travel to popular destinations in Mongolia given that it is has the only major international airport and the Trans-Siberian railway line. Though most of the trips start and end in Ulaanbaatar, it is doubtful that people tell their friends the capital grasped their awe, unlike the picturesque countryside. According to a survey conducted in 2013 by the City Tourism Department and the Mongolian National Tourism Center, most tourists who travelled to Mongolia underlined the pristine countryside and nomadic culture among their most impressive and unforgettable memories of the country. In contrast, one factor that gave them a bad impression was heavy road traffic. Back in 2005, they complained about domestic transportation services and the underdevelopment of roads. By and large, the most positive memories stay in the countryside, and the negative ones stay inside of UB. Global tourist cities such as Venice, Paris and Sydney represent and stand for their city as much as their country. People travel to take in the particular city, sometimes not the whole country. Famous international events play a big role in showcasing and broadcasting the image of a city or a country to the world. The Carnival in Rio de Janeiro, the Running of the Bulls in Pamplona and Oktoberfest in Germany are just a few that come to mind. Lonely Planet, a popular website among global travellers, describes Mongolia: "If Mongolia's yin is its pristine countryside, then Ulaanbaatar (UB) conforms nicely to its yang. An enormous city of pulsating commerce, wild traffic, sinful nightlife and bohemian counter-culture, the Mongolian capital elicits as much shock as it does excitement. The contrasts within the city can be exasperating too; Armani-suited businessmen rub shoulders with mohawked punks and del-clad nomads fresh off the steppes. One minute you're dodging the path of a Hummer H2 and the next you're mystified by groaning Buddhist monks at Gandan Khiid." "Ulaanbaatar cannot represent Mongolia," says N.Baatarnyam, Adventure Travel Manager at Nomadic Expeditions. He also said that issues such as traffic congestion and urban unfriendliness reduce the number of stays in city. Wanted or not, as long as all international flights are destined here, city tourism needs to be developed. The mining boom in recent years resulted in broad coverage of Mongolia by a number of international media outlets showing almost everything from the city, the countryside and the people to the international communities. Before the turn of the decade, it was common for international media to show Mongolia from the more nomadic way of life angle. Now, people know that Mongolia is in a period of rapid transitions. Ulaanbaatar has been transforming rapidly into a western-looking city since the days of socialism, spurred by high economic growth. This wave of change shows foreigners how Mongolia is developing and how Ulaanbaatar city is expanding. The tourism sector's benefits from such developments would be the in the capacities of accommodations and restaurants. "Besides increasing capacity, quality and customer satisfaction need to be taken into consideration. In order to do that, standards should be higher than now," says S.Munkhbat, President of the Mongolian Hotel Association. At the Mongolian Economic Forum this March, representatives of the tourism sector highlighted that UB has now become able to host around 10,000 visitors a day. "Situations such as an insufficiency in accommodations and drops service quality brought on by the influx pressure during Naadam Festival have improved," says N. Baatarnyam. He also said that some of the more problematic issues in UB including pick-pocketing and street children have been lessening day by day. By and large, he believes that factors showing UB in a negative light have been steadily decreasing. There are basically Gandantegchilen Monastery, Central Square, the Zaisan Memorial and the National History Museum in the city tour of UB. More recently, colourful art galleries have started to contribute a small but enjoyable part to tours. Data from the Ulaanbaatar City Tourism Department says a tourist in a group spends on average USD 190, and individual tourists spend USD 120 per day. This is no small amount. In the meantime, tourist spending in London is GBP 72, or MNT 210,000. It shows that there is a need to improve quality instead of prices to make visitors stay in the city for more days. For example, second-time visitors need more options in terms of city highlights and activities. There has been not much change in attractions for the past few years, but there have been ambitious attempts to organise big events for locals and foreigners, say tour operators. It is been just half a year since the "Hospitable Ulaanbaatar" campaign was kicked off. The campaign has the green light to spend five percent of the total city budget. Some of the biggest measures the campaign takes are plans for organising 32 events and festivals to keep Central Square quite busy this year. These events have not been officially included in the travel itineraries and events by companies. They serve only as additional spectacles. In order to make them tourist attractions and part of the travel packages of companies, events need to be scheduled two to three years in advance. Travellers and sojourners around the world usually plan their vacations and reserve trips at least one year ahead. So, if the events are scheduled after the year is already set in motion, these events are never going to officially be part any trips. There is only one unchangeable, specifically scheduled event in Mongolia – the Naadam Festival in UB. Thus, 70-80 percent of tourists who travel to Mongolia happen to come in July. "There should be events that are competitive enough to smooth out the Naadam-orientated month," said B.Barsbold, General Director of the Discover Mongolia Travel Company. He said that for example, the horse festival last year was quite successful and needs to happen again. "Event-orientated travelling has a huge impact in defining a country's image in the eyes of the world," says E.Battulga at the City Tourism Department. According to him, the "Hospitable Ulaanbaatar" campaign events are designed to make Ulaanbaatar an interesting place with a cultural atmosphere and not give people any time to feel boredom. Mongolians, nomadic by nature, could have much more to offer beyond what is now up for offer in this city. The number of tourists coming to Mongolia has been decreasing for the past few years, even showing a negative growth rate for the past two years. There was a time when mining, tourism and all other sectors were growing with or without state assistance. But it seems that the good old days are over as commodity prices have flattened and are not expected to pick up significantly. Experts say that Mongolia has gone out of fashion and that it is experiencing a downturn cycle of tourism. The natural growth cycle will not be seen in the near future. But that does not mean there is nothing you can do about it. Where there is a will, there is a way. Mongolia showcased its splendours on the world stage of the "International Tourism Berlin 2015," which is international scale marketing. On the other hand, Mongolia is trying to bring more tourists from its neighbouring countries that we have paid little attention to as of late. Perhaps they can be the new market the sector has been trying to pull. August 23 (UB Post) In 1787, the Russian Empress Catherine II embarked on a long journey from Saint Petersburg to see the city of Novorossiysk in the Crimean Peninsula, which had been taken over from the Ottoman Empire. The empress was accompanied by her court and foreign ambassadors who wanted to see life in the Russian countryside. In order to impress the traveling group and hide the true reality of poverty and underdevelopment, Prince Potemkin came up with an unorthodox idea. He had frames of windmills placed on the horizon and set up villages close to the road. Potemkin also gathered good-looking peasants and ordered them to pretend to prepare hay, conduct trade, and have celebrations. All these acts were performed at all stops. As a result, the Empress' group was thoroughly impressed. That is why the Russians now use the phrase "Potemkin village" to describe any action that deceives others into believing a situation is better than it really is. The phrase can also be applied to many things happening in Mongolia. We are currently too focused on our external appearance without being able to truly understand or pay attention to internal reasoning. Those who are looking for political gain have used this situation to their advantage, and are pushing harder to deceive others. For instance, tens of thousands of people spent a whole day in a stadium looking for Chinggis Khaan this summer. Chinggis Khaan turned out to be a member of parliament, who is staying silent, waiting for the right moment to be "acknowledged". After the National Naadam Festival, two Danshig Naadam Festivals were organized. The one that was held in Uvurkhangai Province was funded with 500 million MNT from the state budget and 100 million MNT from the local budget. The Danshig Naadam in Ulaanbaatar was supported with funding of 600 million MNT from the budget for the city. There is nothing wrong with marking a historical anniversary and attracting tourists. However, it would be more appropriate if it was carried out by tour operator associations, companies, and businesses. It is time to think and question whether or not these events are a top priority when funding is about to be drawn down from the state and local budgets. For example, one of the issues that must be urgently resolved is the availability of water and sanitation facilities. Installing a water fountain on a bridge in Ulaanbaatar and improving sanitation facilities in ger districts are two fundamentally different issues that indicate different priorities. The WHO and UNICEF's Joint Monitoring Programme report tells us where we are in water supply and sanitation compared to our neighboring countries and other Asian nations. The gap between rural and urban lifestyles is growing bigger and bigger. Sixty seven percent of the urban population and only 43 percent of the rural population have access to improved sanitation facilities. In other words, one third of our urban population uses pit latrines. It is a disappointing number, especially when you realize that it has decreased by only three percent in the last 15 years. In these statistics we are doing far worse than North Korea. In Mongolia almost all high income earners (99.8 percent) and 42 percent of the poor (who make up 20 percent of the total population) have access to improved drinking water sources. This lack of access to drinking water is causing the greatest challenge in eradicating the spread of infectious diseases and improving hygiene. Although Mongolia's infant mortality rate is going down, 21 in 1,000 infants are dying before they turn one; 80 percent before becoming one month old. A study done at the state maternity center this year says that 50 percent of infant mortalities are caused by respiratory infections and 20 percent are linked to the lack of clean water and sanitation facilities. When half of Ulaanbaatar's population does not have access to a shower and uses a pit latrine outside their home, it does not make sense to expect high culture from every ger district resident. Isn't it the time to start assessing the performance of the managers of the city, districts, and micro-districts by the number of people who have access to improved sanitation facilities (including ventilated and improved pit latrines) and by the number of public bathhouses and showers per 100 people in the areas they are responsible for? According to a 2013 inspection jointly carried out by several organizations at the city and district level, six districts in Ulaanbaatar had a total of 124 public bathhouses, 34 of which were out of use or were not being maintained. Out of 93 bathhouses that were inspected, 38 met more than 85 percent of standards and requirements, while 55 failed to meet the same standards. There are approximately 100 bathhouses that can be used by 700,000 ger district residents. This means that there is only one bathhouse for every 7,000 people. Doesn't this ring alarm bells concerning sanitation and hygiene? This is the most immediate top priority job for the city and district management offices. Isn't it time to do something about the open toilets that are emerging along the banks of the Tuul River as people go and spend their leisure time there? Will we be able to receive thousands of foreign tourists without resolving the sanitation and hygiene issues that are most fundamental? Being civilized and clean really boosts the development of the tourism industry. Dear managers and governors of the capital and provinces, a public facility does not have to be luxurious, it just needs to be clean, functioning, and available. If we have such public facilities, we will not see dark corners being used as toilets. Let us stop building Potemkin villages. August 25 (gogo.mn) Young artists are preparing for the autumn's first show. This is the opening concert produced by Ocean Grey Production to be held on August 26th at the Crocus Event Hall at 7PM. This is the official opening of the Ocean Grey Production, which specializes in multidimensional delivery of the music, sound, movies and advertisements, to introduce their brand into Mongolian market. Advertisements and contents of the concert definitely determine the distinctive different type of experience. The production aims to deliver completely new experiences to the audience with different approach, which combines the party and concert atmosphere. Singers and performers are to perform their famous songs and sets under the Ocean Grey Production and present the audience with their new songs. Moreover, DJ and Producer Tuvshin and DJ TMK will be there to rock the party with their sets. Ocean Grey Production Opening concert show tickets are at MNT 30,000 with free drinks. VIP seats are available for MNT 150,000 with food and drinks. Tickets are available at Hi-Fi and Orange Records, easyticket.mn and through 1900-1188, 1900-1991 with free delivery. August 21 (gogo.mn) No one could imagine that son of wealthy middle-class family born on April 22nd of 1870 in Simbirsk, Russia would start a revolution of 1917. Lenin gained an interest in revolutionary leftist politics following the execution of his brother Aleksandr in 1887. The Vladimir Lenin Monument is located in 6th khoroo of Suhbaatar District and it is the only one monument of his in Ulaanbaatar city. There is no more information on the monument except that was erected in 1958. In last century, his 200 monuments were built and most of them were erected in Belarus and Russia. However, people removed his many monuments after the fall of Soviet Union. Interestingly, his monuments are still can be seen at all towns and cities of Kyrgyzstan. August 20 (gogo.mn) We are delivering the next "Short Interview" featuring Expats in Mongolia, who are working and enjoying live in Mongolia and UB city. We aim to share their experiences of living in Mongolia. Our next guest is Kevin Brand, British PGA Professional Golfer. He has traveled to over 50 different countries around the world, both working as a Professional Golf instructor and as a tourist. Before he came to Mongolia, he worked as a professional in India at a golf club which is almost 200 years old. Certainly, it starts with "Why Mongolia?" Why you choose to come to Mongolia? MCS offered me the chance to come to Mongolia to help develop golf. As the first PGA GOLF PROFESSIONAL in the country the opportunity to develop golf in the way I see the game developing was too exciting to turn down. I had a blank sheet of paper, and I had the chance to introduce golf to a whole country for the first time. So far I have been here 3 years. I work 8 months a year, and I go back to Europe for the cold winter clubs. So I have the best of both worlds, as I do not need to work here in the cold of winter. I hope to spend at least 3 more years in Mongolia, as I am only half way through introducing my golfing plans. How is UB treating you so far? I have been so impressed with the Mongolians I have met so far. Mongolians are very easy to get on with. They have a similar sense of humor to British people. Most people I work and deal with speak very good English, so living and working here is very easy. As I live in Zaisan and work at Sky Resort, life here is very easy. I do not have to worry about traffic problems in town, and time keeping is very easy. Everything I need is in Zaisan or Sky Resort. What would you advise for the person who has never been to Mongolia? I would recommend any expat to give UB a try. It is very easy to live here. Especially if they are outside types of people. How many cities have amazing countryside less than 30 minute drive from the capital city. Of Course like any expat here would think, the way you guys drive cars here is somewhat crazy. I understand UB is a new city compared to cities in the west, and it will take some time to sort out the Garbage and Traffic problems both in UB and the countryside. In the 3 years I have been here I have seen progress on both these points. Most favorite thing to do in UB? Apart from of course spending time playing golf at Sky Resort, which take it from me is a 5 star club that any western country would love to have. I love spending time fishing in the local countryside near UB. It is amazing that 30 minute drive from UB how good the river experiences can be. No one around and very quiet. A truly amazing and relaxing way to spend my day off. Last question is for you. As a Professional Coach who has taught golf all over the world, I was amazed how easy local Mongolians are to teach to play golf. Especially the Mongolian Ladies, they are so much easier to teach golf than European ladies. I have often wondered why this is the case, and I have yet to find the answer. BUT THEY ARE SO EASY TO TEACH TO PLAY GOLF. I HOPE WITHIN 5 TO 10 YEARS WE MAY EVEN HAVE A MONGOLIAN PLAYING GOLF IN THE PGA TOUR. I hope to be part of the UB golf community for many years to come. As a PGA golfer UB is a very rewarding way of life. August 25 (news.mn) The timetable for the international visits of Mongolia's top officials for the next month has been announced: Parliamentary Speaker Z.Enkhbold will visit the USA on 31st August in order to attend the 4th World Conference of Parliamentary Speakers. Mongolian President Ts.Elbegdorj will visit China on 2nd-3rdSeptember, in order to participate in the 70thAnniversary World War II- Victory Parade on Tiananmen Square, after which he will visit the USA, to participate in the 69th Honorary Session of the UN General Assembly. Prime Minister Ch.Saikhanbileg will also visit China and attend the "China Economic and Financial Forum-2015" on 9th-11th September. August 25 (parliament.mn) On August 25, 2015, Chairman of the State Great Hural (Parliament) Mr. Zandaakhuu ENKHBOLD received Major General Hamad Bin Ali Al Attiyah, Minister of State for Defense Affairs of the State of Qatar. At the beginning of meeting, Chairman Z.Enkhbold wished the delegates to have a pleasant visit to Mongolia and expressed his satisfaction on broadening friendly bilateral relations and cooperation since the establishment of diplomatic relations between the two states inked in 1998. Also, Speaker Z.Enkhbold underlined that the State of Qatar achieved to restore the country's economy and the people's livelihood by efficiently utilizing its rich oil and natural gas reserves and noted Mongolia is willing to share the Qatari's experience. Mr. Hamad Bin Ali Al Attiyah thanked the Speaker of Parliament for taking a time to receive the delegates and emphasized the bilateral relations and cooperation have been considerably growing. Moreover, parties exchanged views on partnership in defense sector. Head of Mongolia-Qatar parliamentary group at the State Great Hural, MP B.Narankhuu; Minister of Defense, MP Ts.Tsolmon; member of Mongolia-Qatar parliamentary group, MP G.Bayarsaikhan; Ambassador Extraordinary and Plenipotentiary of Mongolia to the State of Kuwait, S.Enkhbat; Adviser to the Speaker of Parliament A.Gansukh and other officials were present at the meeting representing Mongolian side. Ulaanbaatar, August 25 (Gulf Times) President of Mongolia Tsakhiagiin Elbegdorj met HE the Minister of State for Defence Affairs Major General Hamad bin Ali al-Attiyah, who is currently visiting Mongolia. HE al-Attiyah conveyed HH the Emir Sheikh Tamim bin Hamad al-Thani's greetings to the president as well as his wishes of progress and prosperity for the government and people of Mongolia. President Elbegdorj reciprocated the Emir's greetings and wished progress, development and prosperity for Qatar. During the meeting the two sides reviewed bilateral relations and means to develop them. They also exchanged views on topics of mutual interest, particularly in the military fields. The meeting was attended by Mongolia's Defence Minister Tserendash Tsolmon, Qatar's non-resident ambassador to Mongolia Sultan bin Salmeen al-Mansouri and members of the delegation accompanying the Minister of State for Defence Affairs. Meanwhile, the Minister for Defence of Mongolia Tserendash Tsolmon held a separate meeting with Major General Hamad bin Ali al-Attiyah and his accompanying delegation. They discussed topics of mutual interest, especially those related to the military fields. The meeting was attended by Qatar's non-resident ambassador to Mongolia Sultan bin Salmeen al-Mansouri. Ulaanbaatar, August 24 (MONTSAME) On August 20, the authorities of Mongolian and Indian ministries of defense ran the Seventh consultative meeting on defense in Ulaanbaatar. Among many sectors, where the bilateral cooperation has been deepening in the course of 60 years of diplomatic ties, the defense cooperation has been expanding in significant manner. The sides emphasized that the first-ever official visit of an Indian prime minister, in May of 2015, has opened a new page for the two countries partnership. Present at the meeting were, on behalf of Mongolia Ministry of Defense, the vice minister A.Battor, head of Strategy and Policy Planning Department Colonel G.Saikhanbayar, head of Foreign Cooperation Department Brigade-General Ch.Sosorbaram, head of Public Administration Management Department J.Altansukh and head of Operations Administration Center of the General Headquarters of Mongolian Armed Forces Brigade-General D.Ganzorig, and on behalf of Indian Ministry, the State Secretary of Defense Suresh Kumar, Brigade-General N.U.Nair and other officials. Alberta, Canada, August 25 (UB Post) India and Mongolia have been connected through historic, social and cultural linkages and through their Buddhist lineage. Buddhism reached the Mongolian heartlands from India through Tibet, and the Mughal dynasty ruling Indian subcontinent had Mongolian ancestry. Unfortunately, India has been deeply engaged in the past in domestic politics and has neglected its historical relationships with other nations. But recently, with the new government in office since May 2014, India has restructured her foreign policy and started reaching out to her Asian neighbors, including Mongolia. India has been working with several Asian neighbors in establishing a grand economic corridor connecting energy rich Central Asia through Afghanistan and Iran to the prosperous markets of Southeast Asia via India. The entire region is to be connected through interlinked networks of highways and railways. The stretch between Iran and the western coast of India is to be connected across the Arabian Sea through bordering sea ports as part of maritime trade. Finally, Southeast Asian nations are to be connected through India via Bangladesh and Myanmar. Landlocked Mongolia, due to her proximity to Central Asia, has the advantage of actively participating in trade and commerce expected to be opening up though this giant economic corridor. Due to recent strong socio-political and economic engagements between Mongolia and India, an Indo-Mongolian trade and commerce treaty for participating in trade through this giant economic corridor will mean economic prosperity for both nations. By taking advantage of a stronger Indo-Mongolian bilateral relationship, other realms of socio-economic engagements such as promoting Indian tourism in Mongolia, and establishing modern facilities for medicine, pharmaceutical, education, and research in Mongolia with Indian aid and economic support will further help in modernization and facilitate better healthcare and education for the landlocked nation. Another area of engagement will be deepening strategic, diplomatic and defense ties, and jointly working towards developing rail and road infrastructures across Mongolia for better connectivity and faster communication within the nation. The two nations could also look for opportunities in developing alternative energy resources such as wind and nuclear energy to help make Mongolia become energy efficient. India, on the other hand, can benefit from the rich mineral resources of Mongolia for her growing industrial and economic needs. Overall, the possibilities for greater Indo-Mongolian economic tie ups are huge and dynamic, and would certainly help in better connecting the friendly people of these two great nations in the near future. The UB Post welcomes reader comments on current events and stories published in our newspaper. Send your letters to the editor to ubpost@mongolnews.mn. Submissions will be edited for clarity and length. August 22 (AllGov) On August 5, 2015, the Senate, by voice vote, confirmed Jennifer Zimdahl Galt, a career Foreign Service officer, to be the next U.S. ambassador to Mongolia. She went to India in 1997 as the assistant public affairs officer in the consulate in Mumbai. In 2000, she was sent to Beijing as assistant cultural affairs officer and remained in China for her next posting beginning in 2003 as public affairs officer in the Shanghai consulate. August 17-19 (US Embassy) Each year, the U.S. Embassy in Ulaanbaatar conducts outreach to rural areas to meet with Mongolians, discuss Embassy programs, and engage aimag leaders in education, civil society, and government. On August 17-19, 2015, staff members from the Public Affairs Office and Consular Section of the U.S. Embassy conducted a joint outreach in Chinggis City, Khentii province. The staff members met with locals, including government leaders and professionals, secondary and vocational training teachers, as well as the general public. At meetings with aimag governors and educational and cultural department chief officers, Public Affairs Associate Victoria Augustine presented the areas of collaboration between the province and the U.S. Embassy. She also introduced the educational and cultural programs offered by the U.S. Embassy to Mongolians and emphasized the Embassy's interest in increasing the involvement of professionals and students from rural parts of Mongolia in its scholarship programs. Ms. Augustine was familiarized with Millennium Challenge Account Mongolia's project at a local vocational training center, met with the faculty and discussed the scholarship programs offered by the U.S. Government. The team also organized public presentation in Chinggis City and facilitated question and answer sessions about the grants and scholarship programs funded by the U.S. Government that are available to the general public. The Consular Section team held meetings with local government leaders and presentative from the local police stations, hospitals and tour agencies to discuss future collaboration, and issues concerning American citizens living in the region. Also during the trip, they met with Americans living in the province to provide them with American Citizens Service information. Since 2011 through over 10 outreach trips to the countryside the Public Affairs Office covered 18 of the 21 provinces in Mongolia. August 25 (infomongolia.com) Ambassador of Extraordinary and Plenipotentiary of the People's Republic of China to Mongolia, Mr. Xing Haiming has presented a Letter of Credence to President Ts.Elbegdorj on August 25, 2015. President Ts.Elbegdorj congratulated Ambassador Xing Haiming on his appointment and noted that presenting a Letter of Credence at "horse hour" is a good omen as Mongolians traditionally consider the horse hour (11:00 am - 01:00 pm) a good time. Furthermore, President Ts.Elbegdorj said: "Long term peaceful friendly relation is the main tendency of Mongolia's foreign policy. I would like to stress that the relation of China and Mongolia progressed quickly in past few years. Especially during the state visit of President of the People's Republic of China Xi Jinping, we discussed the future of our two countries' relation and signed many deals on cooperation. Now it is important to pay attention to their implementation. I congratulate you on your new appointment and wish luck to you and all employees of Chinese Embassy in Mongolia." In response, Ambassador Xing Haiming said: "I would like to thank President Ts.Elbegdorj for receiving me and convey sincere greetings of President Xi Jinping. We are very glad that President Ts.Elbegdorj will join us at the grand military parade dedicated to the 70th Anniversary of the Victory in War of Liberation on September 3, 2015. President Xi Jinping will be glad to meet President Ts.Elbegdorj during the event. I am glad that I was appointed as the Ambassador of China to Mongolia, and I will do my best to carry out the duty that was assigned by President Xi Jinping." August 18 (The Jamestown Foundation) Although the People's Republic of China (PRC) has been active in promoting its 'One Belt, One Road' (OBOR) Eurasian and maritime initiative during the last two years, to the north in Mongolia there has been doubt as to how Mongolia can derive economic benefit from this policy. When the OBOR was first announced by Chinese President Xi Jinping, in September 2013, he spoke of reviving Chinese contacts with the Silk Road nations, but he did not mention which nations or which Silk Road time period he was referring to (CCTV, September 7, 2013). The Mongolian Empire's Silk Road (1206–1400) included China, the Mongolian heartland, and extended into the Korean peninsula and parts of Siberia. However, the OBOR's lack of explicit inclusion of Mongolia, the Koreas (both North and South) and Japan, caused Mongolian policymakers to believe that this grand Chinese economic and social connectivity concept in a 21st century version of the Silk Road was designed in such a manner as to push Mongolia aside if not to outright exclude it. Although China's Inner Mongolian Autonomous Region (IMAR) was labelled a vital part of the proposed OBOR transit route, Mongolia feared that its poor rail and road infrastructure could prompt China to develop the concept in such a way as to focus logistics westbound and not to the northeast, as it decided to do with oil and gas pipelines in 2011–2012 (Mongolia Briefing, July 3, 2012). As a result, Mongolia proactively has lobbied both China and, especially, Russia since 2014 about becoming an integral part of growing regional transport networks. After achieving preliminary agreement in Dushanbe, Tajikistan, in September 2014, Mongolia's role in OBOR-related projects was publicly solidified at the second trilateral meeting of Russia, China and Mongolia, in Ufa, Russia, on July 10. This reassuring clarification also may have been influenced by Mongolian President Tsakhia Elbegdorj's new foreign policy initiative, announced in Japan in late May, called the "Forum of Asia." At this year's Boao Forum for Asia (BFA), President Xi discussed OBOR as the central focus for China's development for Asia and the world. In a document entitled "Visions and Actions on Jointly Building Belt and Road," issued on March 28—the day of Xi's speech—various economic, financial, cultural and security aspects were explained. Although this report noted that Harbin would be the focal point for "developing China-Mongolia-Russia" economic corridor, there was little additional explanation (NDRC, March 28). With China's underdeveloped northeast provincial role in OBOR also not specified and because the jammed ports of Tianjin and Vladivostok are forcing China to find other Pacific deep-water ports open year round to ship its goods to Republic of Korea, Japan and North America, Chinese authorities responded with a development scenario that would link into OBOR. In May, China's Vice Premier Zhang Gaoli specifically confirmed Mongolia's role in its OBOR planning (China Daily, May 28). At the trilateral meeting prior to the Ufa Brazil-Russia-India-China (BRICs) and Shanghai Cooperation Organization (SCO) conference in July, Xi expressed hope that the three countries would connect the Silk road Economic Belt to Mongolia's "prairie or grassland" road (which Mongols term the "Steppe Road") and with Russian rail network expansion plans (CCTV, July 10). This Chinese trilateral economic corridor has two pilot areas. The first connects Erenhot (二连浩特) with Manzhouli (满洲里) in IMAR and Eastern Russia. The second pilot program involves constructing a trade cooperation zone at the Erenhot–Zamiin Uud (Mongolia) border with the first phase in Erenhot scheduled to begin operations in August. The aim is to develop traditional trade, processing trade and e-commerce through improving traffic interconnectivity and facilitating cargo clearance and transportation. Erenhot mayor Luo Qing commented that: "At the next stage we will actively support a special logistic program called 'Mongolia-Russia Connect,' so that the traditional trading client can catch up with the development (CCTV, June 8)." During the summer of 2014, Mongolian President Elbegdorj welcomed to Ulaanbaatar both Chinese President Xi and Russian President Vladimir Putin. During these state visits, he pressed both sides to agree to annual "trilateral" summits, the first of which took place on September 11, 2014, in Dushanbe, Tajikstan (China Brief, September 25, 2014). Since then, Mongolia has promoted the importance of the Chinese-Russian-Mongolian trilateral relationship, particularly in regards to implementing rail and road construction and exploring how to link Central Asian natural gas fields to China and the ROK by transiting Mongolia (President.mn, September 11, 2014). The first-ever Russia-Mongolia-China trilateral deputy foreign minister–level consultations took place in Ulaanbaatar, in late October 2014, followed by a second round in Beijing, on March 23, 2015 (Xinhua, October 30, 2014; Chinese MFA, March 24). The three sides focused on cooperation in fields of politics, economy, local governments, science and technology, people-to-people cultural exchanges, and international affairs, and exchanged views on "formulating a trilateral cooperation roadmap and establishing an economic corridor among China, Russia and Mongolia" (Chinese MFA, March 24). During the official visit of Mongolian Foreign Minister Lundeg Purevsuren with PRC Foreign Minister Wang Yi in Beijing in April this year, the Chinese reported that there was consensus on connecting China's Silk Road Economic Belt and Mongolia's Prairie Road to "elevate and integrate bilateral practical cooperation in economy and trade, and on actively carrying out the medium-term outline for bilateral economic and trade cooperation to realize the target of $10 billion of bilateral trade volume by 2020 (Chinese MFA, April 2)." It was further reported that both sides agreed on accelerating cross-border economic cooperation zone construction and to actively research and sign a bilateral free trade agreement. However, prior to Purevsuren's April visit, Mongolia had committed to new road construction toward China as a partial answer to reviving its flagging mineral export trade and specifically increasing copper concentrate tonnage exiting its Rio Tinto–operated mine at Oyu Tolgoi. A tender was announced in March for a survey of the 550-kilometer road from Maanit to Zamiin-Uud (Chinggis Group, April 2). During the April foreign minister discussions, Mongolia agreed to a mega highway project that crosses the country from north to south to link it to Russia and China. This proposal for a fully paved Altanbulag-Ulaanbaatar-Zamiin-Uud highway had been delayed for decades by Mongolian policymakers for national security reasons (China Brief, August 23, 2013). They believed that the Mongolian economy, which has been monopolized by China for the last 15 years, would never overcome this situation if such a road were built, so many promoted an east-west "Millennium" highway across the country instead (Asia Development Bank, 2014). At the opening ceremony at the Sino-Mongolian border at Zamiin Uud in late May, the Chinggis Land Development Group, Mongolian National Chamber of Commerce and Industry, and Mongolian Road Association signed a memorandum of understanding (MOU) to employ Mongolian companies, increase the number of Mongolian road and construction staff and train Mongol engineers and technicians. It is estimated that 20,000–30,000 temporary jobs and 50,000 jobs in new residential zones will be created during the three-year construction of the entire 990 km highway (GoGo Mongolia, May 29). In the Mongolian capital, on April 9–10, there was a second consultative meeting of deputy ministers of railway and transportation from the three nations. The Mongols began this particular dialogue in December 2013, in Ulaanbaatar, in order to develop trilateral cooperation among the transportation sectors to expand transcontinental railway transportation transiting Mongolia. At the meeting, Chinese, Russian and Mongolian rail authorities confirmed plans to implement railway transit cooperation, improve existing railway freight volumes, research the building of a trilateral transportation logistics company, promote development of railway transport capacity along the Ulaan Ude–Naushki–Sukebaatar–Zamiin Uud-Erenhot-Jining corridor, promote cooperation among railway educational institutions, and support personnel training and scientific research cooperation (Montsame, April 10). However, in all these bilateral and trilateral initiatives there was no explanation of how this cooperation directly related to OBOR. With all the apparent momentum in 2015 toward Mongolian and Chinese cooperation, it is interesting to consider why the Mongols have proposed the establishment of a new Mongolian continental dialogue platform, the Forum of Asia, to build mutual trust and boost regional integration. President Elbegdorj, on May 21, in Tokyo, introduced the concept at the 21st International Conference on the Future of Asia. He suggested that this new platform should promote equal representation of interests of all sovereign nations in Asia, small or big, to guarantee the independence, integrity and development models of all members. In an interview with a Japanese newspaper, he likened it to a small United Nations in Asia, but with equal rights. The Forum could foster the region's success and overcome economic challenges by focusing on "security, rule of law, the environment, as well as social and economic areas" (Nikkei, May 21). Calling Mongolia an honest broker in dealing with promotion of peace and security in Northeast Asia, Elbegdorj evoked the days of the Mongol Empire when his people "actively engaged with nations near and far in Asia, Europe and the Middle East. It was an era when the Mongols strove to establish a new world order—justice, peace and cooperation in their relations with other states and peoples" (Montsame, May 22). The Mongolian president never mentioned OBOR. Rather he emphasized his nation's commitment to meaningfully contribute to the political and economic integration processes in the Asia-Pacific region since there was no single mechanism of regional integration that included all 48 Asian states. The Forum would "ensure the rights of all member states while deterring hegemony and securing equality. It is better to have one common platform for all Asian nations than wrestling one by one in the global arena" (Nikkei, May 21). Only three weeks later, on June 8, Elbegdorj introduced the concept again in a speech he made to the European Parliament, in Strasbourg, France. Emphasizing that Mongolia's commitment to international cooperation is strong, he explained that the Forum of Asia hopefully "will serve as a much-needed mechanism to promote regional integration of all sovereign nations in Asia, promoting equal representation of their diverse interests. My government is now working to finalize this concept, and is inviting interested parties to contribute ideas that will aid its realization" (Mongolian MFA, June 9). In this speech, Elbegdorj also mentioned other recent Mongolian-developed initiatives to build regional understanding, such as establishing the Ulaanbaatar Dialogue on North East Asian Security, which he compared to the Helsinki dialogue of Cold War days, and Mongolia's chairing of the Freedom Online Coalition on May 4–5 to promote access to the Internet for all. To date, Chinese media has not commented in the media on Mongolia's "Forum of Asia" concept, although it has supported the Mongolian transportation strategy of "trilateralism" within the greater context of OBOR. China's lack of clear response to Mongolia's new concept of Asian regional integration may indicate that the Chinese leadership is still considering its response and thus was not willing to publicly comment when it signed four new agreements at Ufa with Mongolia and Russia to establish the legal framework for future economic cooperation "to enhance trade and economic partnership, to increase transit transportation and to explore the opportunity to establish a joint railway transportation, and logistics company" (InfoMongolia, July 10). As we enter into the last two years of Elbegdorj's Presidency, we should expect more ambitious initiatives to elevate the image of Mongolia on the global stage because he is determined that his country have a strong voice on the Asian continent. Still, it is important to recognize that Mongolia with its "Forum of Asia" is not necessarily rejecting the OBOR, but seeking more guarantees from China that it will benefit from inclusion and not be ignored in Asian regional infrastructure. Ulaanbaatar, August 24 (MONTSAME) The Ambassador Extraordinary and Plenipotentiary of Mongolia to the Republic of Turkey Mr B.Batkhishig met with the head of International Political Organizations Department of the Ministry of Foreign Affairs of Turkey Ms Zeynep Kiziltan on and handed over a copy of the letter of the Minister for Foreign Affairs of Mongolia H.E.Mr. Lundeg Purevsuren addressed to H.E.Mr. Mevlüt Çavuşoğlu, Minister for Foreign Affairs of the Republic of Turkey on his request of support of Mongolia's candidacy to the UN Human Rights Council. Ambassador B.Batkhishig stressed Mongolia's concrete achievement in setting up a legal environment and economic and social conditions for securing human rights and freedom on the steadfast path of democracy and reform after democratic revolution in 1990 and informed that Mongolia on the base of its experiences accumulated during this reform has decided to present its candidature to the UN Human Rights Council. Mrs. Zeynep Kiziltan underlined a successful cooperation between Turkey and Mongolia in international arena and expressed Turkish position on firm support of Mongolia's candidacy to the UN Human Rights Council. August 24 (Outbreak News Today) The number of measles cases in the Western Pacific Region of the World Health Organization as a whole is down significantly through the first six months of 2015 compared to the same period last year. The latest data from the UN health agency shows that this area of Asian-Pacific region has seen a decrease in measles cases from nearly 141,000 cases from Jan. 1 to June 30 2014 to just 104,000 for the same period this year. Some countries have seen little difference from 2014 to 2015 like China (83,205 vs 79,499), while other countries have seen huge differences. The one nation that has seen a huge increase in measles this year is Mongolia. During the first six months of 2014, they reported a mere 86 cases. Contrast this to the same period in 2015 where Mongolia has reported 17,580 cases. This is up from approximately 3,000 cases reported on May 31. This comes just a year after Mongolia was one of four Western Pacific countries to earn this distinction of being declared measles-free. The Measles Elimination Verification Certificate from the WHO Western Pacific Regional Office requires a case-free streak of three years. It has been 5 years since Mongolia reported a measles outbreak. The first case of measles in this recent outbreak was reported on March 18. Thirteen days later, when the Ministry of Health held a press conference, there had been 333 suspected and 95 confirmed cases, 22 of which were diagnosed in adults. Noting that this particular strain matches a strain identified in China, the Deputy Minister of Health said, after a pause, "Even a few doctors and hospital staff contracted the disease." Apparently, vaccinated people, children and adults alike, can get it, provided they have weak immunity and other chronic illness. What's worse, because we hadn't had an outbreak of measles in five years, the doctors in the health facilities were not accustomed to it. Added to all that, the fact that this was an airborne disease meant the outbreak would be quite costly. The press conference ended with the Ministry of Health promising a nation-wide vaccination between May 15 to 25, with help from the WHO regional office and UNICEF. Other countries reporting big differences; however and fortunately in the opposite direction include the Philippines and Vietnam. The Philippines reported more than 40,000 measles cases during this period in 2014, while seeing only 2,231 cases this year. Likewise, Vietnam reported nearly 11,000 cases last year and only 888 so far this year. August 25 (UB Post) Cabinet ministers decided during its recent weekly meeting to dedicate 4.2 billion MNT from the state budget to provide scholarships for 100 students admitted to study at the world's top universities. The Ministry of Education carried out the selection of students who are eligible to study at the world's top universities, starting in the 2014-2015 academic year, with financing from the State Fund for Education. Some 86 students met GPA and admissions criteria and signed contracts with the ministry in 2014 to receive tuition fees. Some sixty percent of those students are studying engineering and technology, and 25 percent have enrolled in medical sciences, environmental safety, and ecology programs, which correlates with the 2012-2016 action plan of the Cabinet. August 21 (parliament.mn) On August 21, 2015, Senior Adviser to the Chairman of the State Great Hural (Parliament) S.Lambaa received delegates from Nagasaki University of Japan headed by Dean of the School of Medicine, Mr. Isao Shimokawa. The visiting guests arrived in Mongolia upon an invitation of Mongolian National University of Medical Sciences, where Senior Adviser S.Lambaa is Chairman of the Board of Directors of the University. A hospital affiliated Mongolian National University of Medical Sciences is being constructed under grant aid from the government of Japan, which will be operational in 2017. In the frameworks, University Board Chairman S.Lambaa expressed his gratitude on implementing a program to involve Mongolian teachers and students in short-term trainings in Japan. Moreover, the sides exchanged views on further broadening bilateral cooperation touching upon issues on long-term exchange programs, ensuring good management medical preparatory works and preparing human resources team. Can four Mongolian universities make the world's top 100 by 2024? August 25 (UB Post) When I heard that Mongolia's education policy for this decade included aims to transform four Mongolian universities to become ranked among the top 100 in the world, I was speechless. The government doesn't plan to fund universities, but it expects them to reach the top 100 on their own. Our policy makers don't seem to understand that they should plan a budget to implement any policy, or it won't be implemented and will be rendered useless. Let's look at an example. Three years ago, the public smoking law was amended. The second clause in the new version stated that it was forbidden to smoke in or outside of a kindergarten, any type of school, dormitories, hospitals, and clinics. In the fourth clause, it says that anyone who violates the new regulation will be fined 50,000 MNT. Everyone is aware of people smoking outside universities, but who is supposed to catch these people and fine them 50,000 MNT within five to ten minutes of seeing them smoke in a prohibited area? The law states that the workers of the Governor's Office, police officers, and state inspectors are given the right to fine the violators of this law. Surely, police officers have other things to do and they're simply not going to wander and roam the streets to catch a person who is smoking, unless they're paid to look after them. Or maybe a camera on school property could be helpful in implementing the law. Otherwise, this law makes no sense. By producing poor laws that people can easily ignore, the government is encouraging residents to ignore laws and other social responsibilities in all walks of life. This new education policy is no different. The education policy was adopted by the government and it is to be followed from 2014 to 2024. The government has not planned for any funds in the budget to implement this policy, as we can see from the way universities are funded. The authorities are acting and passing laws as if making four universities soar up to the top 100 can happen overnight. National University of Mongolia recently stood at 4,116 in a Spanish ranking of the world's universities. Due to a lack of funding from the government, Mongolia's universities say they can't help but increase tuition fees to alleviate increasing expenditure caused by inflation. It's hard for universities to manage providing heat to their buildings without government funding, let alone reach top 100 ranking. As we Mongolians say, it sounds as impossible as biting the center of your palm. Let's look at one of the top universities in Mongolia, National University of Mongolia (NUM), and see how ready it is to reach top 100 ranking in eight years. NUM dedicates its "fundamental fee", an annual fee of 224,000 MNT paid by each student, to providing classroom repairs, heat, electricity and Wi-Fi, according to the school's board of admissions. Note that NUM is the only university that collects this type of commission from its students, and I assume, the only university that offers classroom repairs, heat, electricity and Wi-Fi to its students with those dedicated funds. Just last year, my feet froze during a class, thanks to the lack of heating in the lecture halls of NUM, supposedly the best university in Mongolia. Even my winter hiking boots couldn't protect me from the cold. Even with all the increased fees, the learning environment at NUM is still not improving. Lecture halls that are scheduled for classes with 150 students can't hold everyone because they don't have enough desks. The lecture halls are without suitable projectors or a microphone. The rooms are distractingly cold or hot, depending on the season; like the trolleybuses in Mongolia, they are uncomfortable and unsatisfactory. The only difference is that I pay 300 MNT for a ride in a trolleybus while I pay 3 million MNT for my university education. The basic policy implementation problem can be seen from the time NUM teachers arrive in their classrooms. According to the teachers' employment code at NUM, a teacher is expected to dedicate all of his or her work hours to completing a compulsory workload, but I have had several classes where the teachers don't show up at all to a 7:40 am class, and it goes unnoticed. NUM policy states that you have to wait 30 minutes for teachers holding a master's degree, and for up to an hour for a teacher holding a doctoral degree. What kind of system is this, where an administrative board tells students to just sit and wait after they've paid all that money? We wait, and then we leave. No one cares whether the teacher comes on time except for the students, and teachers are held to no accountability when they miss their own classes. On the other hand, at Mongolian University of Science and Technology (MUST), a teacher is fined for not arriving to class on time. The board is paid to look out for teachers who are not on time. Mongolia adopted a liberal arts system at its universities starting last year. With the adoption of a new system, a thorough explanation or a manual would be useful. But none was provided at NUM. That's not all though, the boards of admission of different schools within NUM reply differently when asked the same questions. We can't expect students to figure things out on their own, because even the university can't figure its changes out. While NUM fails to inform its students and guide them, MUST has been doing the opposite. I feel like not just NUM but also our government should learn from the supervision policies that MUST has. If any university in Mongolia ever reaches the top 100 ranking in the world with government funding status such as it is, I believe only MUST stands a chance. It makes sound policies, implements them, and supervises if they are being followed. Adopting a system where implementation and enforcement of laws occurs is essential to Mongolia. We need to transition from a nation of words to a nation of actions. August 25 (news.mn) The 20th annual meeting of the Asia Pacific Forum (APF) of National Human Rights Institutions and Biennial Conference will take place in Ulaanbaatar on 26th-28thAugust. The heads of the National Human Rights Commission provided the following information: "Preventing torture and protecting the rights of people held in places of detention" will be the focus of the APF's Third Biennial Conference. The 15 Asia Pacific countries will participate as full members and 7 countries as associate members; Denmark and Kyrgyzstan will be present as observers. Also, during the Conference, the APF Torture Prevention Ambassadors will have a meeting on 23rd-30th August. August 21 (China Radio) Chinese writer Jiang Rong, author of the best-selling novel "Wolf Totem", has been awarded the Bichgiin Mergen Prize (Genius Writer Prize) by the World Mongol Authors Association in the Mongolian capital of Ulan Bator. Jiang becomes the first Chinese writer to win the highest award of the World Mongol Authors Association. He's announced to contribute of the prize money and all the copyright royalty from the Mongolian version of "Wolf Totem" to an environment protection foundation in Mongolia. "Wolf Totem" has sold over 5 million copies and has been reprinted over 160 times. The semi-autobiographical novel was turned into a movie of the same name. The movie is directed by French director Jean-Jacques Annaud and grossed over $110 million dollars in China. August 24 (gogo.mn) A Family Portrait-short film by Chinguun Balkhjav is among the finalists at the London Short Film Awards. The short film was created by Aurora Film featuring young actress U.Tsasjin. The director of the short film aimed to portrait the psychology of the children living under domestic violence behind the closed doors. London Short Film Awards nominated U.Tsasjin for the Best Actress nomination. U.Tsasjin is 11 years old and attends Tsoglog Studio for the performing arts classes. Previously she featured in a short film My Rose by B.Chinguun, Secret of Seruun Khas and Merry Family by X-Tuts production. London short film awards will receive votes through Facebook and Twitter. Source: The article is by E.Undrakh and was originally posted at Zuunii Medee. August 24 (gogo.mn) We have invited the ballerina of the Mongolian Opera and Ballet Academic Theater M.Munkhtuya. Not many know that her spouse is danseur at the same theater O.Gantsooj. -What was the character you have mastered out? -As of current, I cannot say I have mastered this or that character. I am more on a fighter side. Recently, I danced Don Quixote, but still was not satisfied with my performance. I went to my teacher and promised to dance it out to perfection. August 25 (news.mn) The third "World Stamp Exhibition" took a place on 14th-19th August in Singapore. N.Jantsan (PhD) who is Deputy Chief of the Mongolian Constitutional Court and an Honorary Lawyer was awarded a silver medal from this exhibition for his book "Rare Mongolian Stamps and Banknotes". This book is based on the foreign and domestic stamp collections, and includes the first comprehensive analysis. "Munkhiin Useg" has published 500 copies of this book, to coincide with the sale of some rare Mongolian stamps, which went under the hammer at international auction for MNT 50-100 million. In addition, a very rare envelope, which was used during the Mongolian horse-relay-station postal-service days, was sold for USD 100,000. August 24 (The Miami Student) Our driver pulled into traffic in the crowded streets of Ulaanbaatar, grumbling to himself in Mongolian while nearly colliding with the car to our left. I looked at my sister in panic as I tried to grab for the seat belt hanging next to me. "Don't put that on, it's rude," my sister laughed at me. "If you wear your seatbelt, you're saying you don't trust whoever is driving." It was my first day in Mongolia, where I would spend the next month eating, sleeping and living like a Mongolian. Ulaanbaatar, commonly referred to as simply UB, seemed at least somewhat similar to other cities I had visited — despite the lack of seatbelts. However, I soon realized that Ulaanbaatar was nothing like the rest of the country. Mongolia holds a steady and small population of roughly 3 million people for a land area of over 600,000 square miles. To put that in perspective, France is less than 250,000 square miles with a population of nearly 67 million. Much of the country is vast wilderness, with everything from stunning mountain ranges to the expanses of the Gobi Desert. The population not living in the capital is spread out in tiny towns and villages, where many people survive in the way Mongolians have for thousands of years: herding livestock. I soon left the (relative) familiarity of the capital for my final destination — Zavkhan. The town where my sister has been living for the past year with the Peace Corps, deep in the Mongolian countryside, was nothing like anything I've seen before. Cattle roamed freely in the streets as men rode by us on horseback to get to the town center. The river running through the town flowed steadily from the snowmelt farther upstream. Everyone we passed stared at me with questioning eyes. In a small and relatively isolated town, visitors are easy to spot. Make those visitors American, and you've got a rare occurrence that everyone will know about instantly. We arrived at my sister's ger, a semi-permanent tent that many Mongolians use as homes. Her Mongolian "family" came to meet us, greeting me and talking excitedly in Mongolian. The youngest child peeked at me from behind his mother's legs, confused by the stranger in his home. They spoke rapidly with my sister as I stood silently, fully absorbing the idea that for the next month I would have little to no idea what anyone was saying. The few English speakers other than me included several American volunteers and Mongolians who teach English, all of whom spoke Mongolian the majority of the time. Most Mongolians only speak their native language, and the few that know a second language speak Russian due to its proximity. Over the next few days, I met dozens of Mongolians. My sister's students followed me around the school when I visited, whispering to each other and giggling. I later learned that many of them had never seen someone with blonde hair and that they were calling me "Rapunzel." My life continued in this routine of meeting Mongolians and following the actions of others. I ate and drank what was given to me, learning how to properly accept gifts and exchange greetings. I soon began responding to my sister with Mongolian phrases, even when we were speaking English. My experience in Mongolia is hard to summarize, because there's nothing to compare it to that would do the country or the people justice. There are no landmarks to visit or tourist spots to see, nothing that I could describe that would make someone go, "That's the Mongolia I know from books and movies." Instead, I had moments. A night spent playing cards with a young Mongolian couple, acting like old friends even though we didn't share a common language. A trip to the outhouse in the middle of the night that turned into stargazing in my sister's yard. A questionable (but delicious) meat pancake from a stand on the side of the road. There's no way to explain the experience of being piled into a minivan with 25 people who all needed to get into town. No way to describe hearing the beauty of a song played on a morin khuur, a traditional Mongolian instrument. Perhaps the best way to pull it all together is the happiness and peace exuding from every Mongolian. They're content with family and friends and the town they grew up in. They don't want for more or act rude to strangers. As I stood on a hill overlooking the Mongolian countryside, the sacred Mt. Otgontenger looming in the distance, I felt completely calm for the first time in what seemed like forever. With the land of the blue sky around me and home thousands of miles away, I was there. And I had no desire to be anywhere else. August 25 (UB Post) A vehicle collision that occurred 60 kilometers outside Ulaanbaatar last Friday left two soldiers dead and 21 injured, reported the General Staff of the Mongolian Armed Forces. Six Zil-131 army trucks with around 20 soldiers each were returning from a field exercise when a vehicle driving into on-coming traffic hit the first truck's rear tire. The truck flipped over, resulting in the death of two passengers, 24 and a 26-years-old, on impact. Of the 21 injured soldiers that are currently hospitalized, one remains in critical condition, report doctors. He has undergone brain surgery and is under intensive care treatment at the Central Military Hospital in Bayanzurkh District. The soldiers were from Military Unit No.084. The vehicle that hit the truck had five people in it, including two young children and a pregnant woman. None of them were harmed in the accident. August 25 (UB Post The Mongolian national mind sports team topped the team results chart of the first Asia Memory Championship and third Hong Kong Championship by seizing more than half of the possible medals from the competition. The two-day championship, held in Hong Kong from August 22 to 23, offered 63 medals in total. Mongolia's national team of 20 members, including mental sports athletes and coaches, earned 37 medals in total; 14 gold, 13 silver and 10 bronze. The team had already acquired 19 medals on the first day of the event. A total of 119 athletes from 13 countries participated in this championship. The final results showed that International Grand Master O.Sengesamdan had won six gold and two silver medals, rendering him the Asian champion title. O.Sengesamdan is now ranked in fifth place in the world ranking of intellectual athletes as he scored 7,141 points in the Asia Memory Championship. While E.Purevjav set a new world record in the 30 minute binary competition, Mongolian athletes U.Sengesamdan, A.Anudari, B.Shujir-Erdene, E.Enkhmunkh, Z.Tsetsegzul, and E.Purev, met requirements for the Asian Master title. August 21 (Irish Daily Mirror) Five Irish friends made the journey of a lifetime this summer - driving from Dublin to Mongolia in just six weeks, all to raise money for charity. Jordan Sutton, Jonathan Lewis, Jack Perdue, Shane O'Rourke and Ben Chadwick ended their epic trek today, after crossing 20 countries, three deserts and two seas. The group set out on their epic journey on July 11, intending to make the 28,000 km journey to raise funds for Go Help and Make a Wish. In an update posted to their Facebook page on Thursday, they revealed that they're almost at the end of their "crazy idea" and have arrived in Ulaanbaatar, the Mongolian capital. In the last few weeks, they have trekked through Europe, Turkey, and through Turkmenistan and Uzbekistan - and encountered plenty of challenges through their journey. From bribing border guards with cigarettes to their car breaking down just hours before reaching their final destination - the five lads took all the challenges they faced in stride. Speaking on their time in Turkmenistan, where the car decided to pack it in, the group said: " We will remember it most fondly for the people we met and their willingness to help; like the truck driver who towed us, the mechanic who fixed our car, but most of all the young man who spent his own time and money to help out 5 strangers, and asked for nothing in return." In an earlier update this week, they said: "After 6 weeks, the 46a is pulling in to the terminus, and honestly, even we can't believe it." The pals from Wesley College worked for a year to save up for the 2006 Honda CRV, which they will be leaving as a community vehicle in Mongolia. Swapping out their car - named the 46a - for a flight, the group are due to return to Ireland in late August. To learn more about the 46a team's journey, check out their Just Giving page. August 5 (Horse Collaborative) Today, half a world away on a primitive slice of Mongolian Steppe, 36 ambitious equestrians are saddling up and heading out for a week of torture on horseback. It's called the Mongol Derby—the longest, toughest, craziest horse race on the planet. The premise of the race is quite simple: finish. Getting there, well, that's a little more complicated. Riders will traverse roughly 1000km (621mi) of Mongolia's volatile terrain in less than 10 days, battling waves of savagely unpredictable weather while straddling a number of semi-wild lighting ponies. It's pure, equine insanity. Let's take a minute and get to know this exercise in endurance a little bit more, shall we? This year. Moomedia revisits the beautiful land of Mongolia yet again. With the success of our trip in 2014, we were even more adventurous this year. We ventured further to explored more exotic places, as far as Khövsgöl Lake. It was a challenging trip. But thankfully, with wonderful Mongolian hospitality, we had an awesome time. Once again.... Behind the scenes... Moomedia style! August 21 (Washington Post) In one of the planet's most desolate and harsh terrains, the Altai Mountains which run from Siberia in Russia down to Mongolia's Gobi Desert, hunting with eagles is currently only practiced by a handful of Kyrgyz and Kazakhs. This form of falconry, the practice of hunting with the aid of birds of prey, can be traced back as far as 4,000 years in Central Asia. Since 2014, after leaving a senior corporate job and wanting to document remote cultures around the world, photographer Tariq Zaidi has been photographing the Kazakh eagle hunters. For Kazakhs living in western Mongolia, hunting with eagles is a proud art, and one of the highest expressions of their cultural heritage. Today, the art is slowly dying out, as there are only about 70 traditional eagle hunters left in the world. For these remaining few, it is not simply an important tradition or an extraordinary sport; it is their reason to live. August 22 (Daily Mail) Sometimes you just need to get away from it all.. and these hotels are the perfect places to do so. Whether you're in the market for an adventurous exploration in Patagonia or prefer a romantic retreat to a southern atoll in the Maldives, there's an off-the-beaten path destination for everyone. While it may require a bit of commitment to reach these isolated destinations, between the breath-taking views, serene atmospheres and - best of all - no WiFi, guests will be rewarded ten-fold. Here, MailOnline Travel reveals our top picks for the world's most secluded hotels. In the heart of the Gobi Desert, the lodge isn't just a once-in-a-lifetime holiday destination - it doubles as a base for scientific research and wildlife monitoring. Each yurt - or ger - is heated by a wood stove, decorated with hand-painted beds and furnishings and designed to blend into the natural landscape. There is also an on-site restaurant and bar, as well as a massage ger to help you relax after a long day of exploring via the custom tours that can be planned and booked with the help of the lodge. To get there, you'll need to fly from Ulaanbaater, the capital, to Dalanzadgad, which is located on the edge of the desert. From there another hour and a half drive - off the beaten path, we might add - will lead you there. One thing's for sure, however: this spot is definitely for the more adventurous travellers among us. 1. Know your (railroad) lines. The Trans-Siberian railroad actually has three main routes. They all follow the same course for the first 2050 miles outside of Moscow, but then they split: the Trans-Siberian continues east to Vladivostok, the Trans-Manchurian veers south-east to Harbin and Beijing, and the Trans-Mongolian darts south via Ulaanbataar to Beijing. The whole network was built at great cost in blood and treasure at the turn of the 19th century in order to connect Moscow with the port of Vladivistok on the Sea of Japan, boosting business and trade. In Russia and Mongolia, where plane travel can be prohibitively expensive and the distances are enormous, the rail network quickly became a popular way for the middle and lower classes to travel. It remains that way today. August 17 (Funhog Blob) The chief ranger, Gana, greeted us in a worn purple hoody. He wasn't the picture of earnestness that we all know from our NPS rangers in smoky-the-bear hats, but if I was stranded somewhere in his park, he seemed like the kind of guy I'd want on the search. Ranger Gana led from his horse. Behnid him on a string walked the camel with our kayaks. A light rain began as we scrambled along the rim of the gorge, scouting. At a chunky 20-foot falls, a simple up-and-over portage route was apparent, and I signaled Gana onward before turning to Pat and Susan, "Is that sleet I'm seeing?" Twenty minutes later there was little doubt about the precipitation. It was full-on snowing. I pulled on my drysuit over wet socks and soaked long underwear, sucking on my fingers to keep them operable. The glacial water was difficult to read, and we skipped over rocks hiding in the dirty grey silt. The Tsagaan Gol Gorge is an angry place; cold, grey, fast, sharp, loose. The unrelenting snowstorm only added to the drama. I was loving every second. We shared a relieved high-five at the mouth of the canyon. The run-out was dreamy, the afterglow of adrenaline coaxing us into crashing wave trains. Children of the gercamps alerted their families, and lines of people came spilling out to watch from above. I woke in the middle of the night to find a crystalline twinkling sky and a fresh cover of snow, July in the Mongolian Altai.